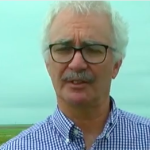 Crop Features AG am in Kansas is all about being out in the field – statewide – to keep you up to date on crop production news and crop research results and recommendations. These stories include a broad range of familiar faces like Dr. Jim Shroyer and many additional ag experts. Feel free to share these links and come back often to keep in touch with crop news from around the state and beyond. 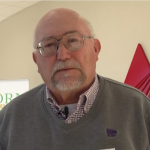 Charles Barden with Tips for Wind Breaks Good morning I’m Charles Barden with K-State Research and Extension Forestry. 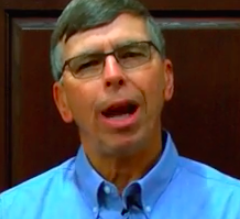 I’d like to visit with you today about windbreaks…click link for more. 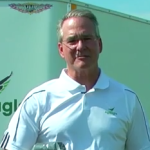 Brett Chilcott with AgEagle AgEagle was real pleased to welcome the Kansas Farm Bureau folks. We had about 40 of our good friends out here watching the AgEagle fly and they even had a chance to tour our facility there in Neodesha. AgEagle got started, we were making composite parts, fiberglass…click link for more. 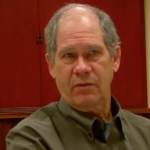 Dr. Dave Steward talks about the High Plains Aquifer Yes, the High Plains Aquifer., it lies in the middle of the United States. 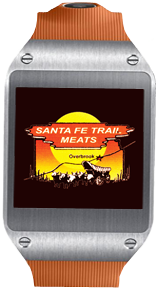 It covers eight states from South Dakota to Texas. It’s important; it provides approximately 30% of all the irrigated water used for agriculture in the United States. With this study, what we showed is that the peak…click link for more. 2017 Wheat Quality Tour Good morning folks, my name is Romulo Lollato. 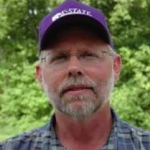 I’m the Extension Wheat and Forages Specialist with Kansas State University. Today we’re here in Manhattan to give you an update in a wrap-up on the Wheat Quality Tour. 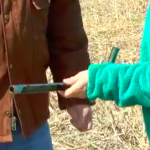 That event had over 70 people going out in Kansas wheat fields…click link for more. Shawn Thiele with the USDA Cochran Fellowship Program Hi, my name is Shawn Thiele. I’m excited to be here today at the IGP Institute here at Kansas State University. 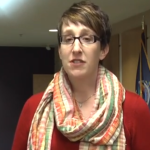 The IGP Institute is working closely with the USDA…click link for more. Rebecca Regan Update on K-State Wheat Breeding Program I am a research associate professor in the Department of Grain Science at Kansas State University and I also am the Director of the Wheat Quality Lab….click link for more. 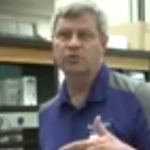 K-State’s Dr. Erick DeWolf with Stripe Rust In Kansas Wheat Update This is really the time that we need to be out looking for diseases in our wheat crop. The wheat is now at the stage where the flag leaf is just beginning to emerge. We have multiple leaves of that upper canopy that are available. It’s those upper leaves that are really vulnerable to the attack of diseases. 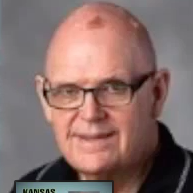 In many areas of central Kansas..click link for more. 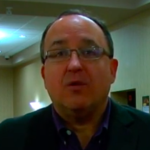 Dr. Romulo Lollato Announces Upcoming Wheat Events Good morning. 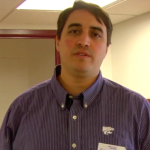 I’m Romulo Lollato, Extension Wheat and Forage Specialist with Kansas State University. Today we’re here to talk about some of the upcoming events that are wheat related here in the state of Kansas. As many of you are aware, the months of May and early June is very busy…click link for more. Tracy Streeter at Duane Roth’s Water Technology Farm It’s good to be back out here the Duane Roth Farm here north of Garden City, the Holcomb area, to look at his water technology farm. 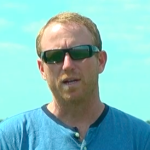 He was one of the first three technology farms to start in Kansas last year and we learned a great deal from his experiment last year…click link for more. Tech Show for Soil Moisture ProbesSoutheast area Extension Agronomist for Kansas State University I’m Duane Roth. I farm here in northwest Finney County. Today we put this demonstration on, a small tech show for soil moisture probes. We feel that there are so many out there right now that this is going to give a farmer an opportunity…click link for more. 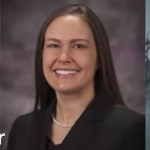 Women Managi ng the Farm Conference Announcer: The 2017 Women Managing the Farm Conference which is co-sponsored by K-State Research and Extension took place in Manhattan, Kansas. 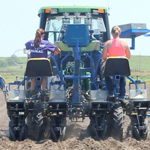 Women from across the Midwest region gathered to discuss vision on farms, expand their managerial skills, and network with one another..click link for more. Doug Shoup and Good Soybean Weed Control Southeast area Extension Agronomist for Kansas State University and today we’re in Highland, Kansas. We’re here today to talk to producers about good soybean practices and I spent the day talking about herbicide resistance and good weed control in soybeans. 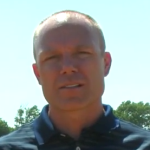 For the last 10 years or so in eastern Kansas..click link for more. Pat Ross and Kent Winter: I’ts Important to Know State Legislators It’s always a pleasure to be here at the breakfast for the legislators here in Topeka. I understand it’s the 22nd year and this is the year that the Kansas corn producers are in charge of the pancake feed. 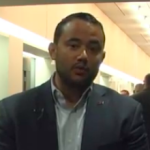 It’s always a pleasure to sit down and meet with some of these legislators and see what their problems are and tell them what..click link for more. Veronica Nigh update on Trade Agreements Sure, the trade front has been a very interesting one recently. 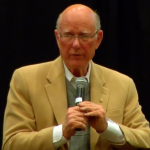 If I had have been in Kansas a year ago, I would have been talking about the Trans Pacific Partnership, which is a trade agreement that we estimated would bring an increase to net farm income of $4.4 billion per year.l..click link for more. What Should be Included in the Farm Bill I had the opportunity to sit on a panel with sorghum and corn and talk about the importance of the Farm Bill and how important its going to be that we work together on the Farm Bill. We need to be working together in Washington DC for all the commodity groups and the conservation groups, the nutrition groups so that we can get a comprehensive Farm Bill done before it expires on September 30th, 2018…..click link for more. 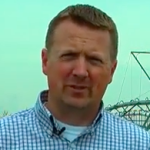 Jon Doggett, National Corn Growers Association My name is Jon Doggett I’m the Executive Vice President of the National Corn Growers Association. I run the DC office for the Corn Growers. Was happy to be in Kansas and to be on the panel with two other gentlemen, one from wheat and one from sorghum and talking about the next Farm Bill..click link for more. Differences Between KS Soybean Association and Commission I’m Dwight Myer, I live southwest of Hiawatha, Kansas, I’ve served on the Kansan Soybean Association Board for the past 10 years. Today I came so I could explain to the producers here the differences between the Commission and the Association. The Association….click link for more. 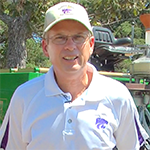 Doug Jardine with Diseases in Soybeans Hi, I’m Doug Jardine, and I’m the Extension Row Crops Pathologist, working in K-State Research and Extension. This week we’ve been out around the state running soybean meetings, and my part on the program, as you might guess, is that I’m from diseases in soybeans…click link for more. 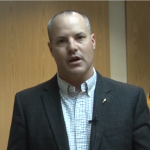 Rich Felts, KFB President This is Rich Felts, President of Kansas Farm Bureau to just talk a little bit about some of the issues that are of importance to not only our members but the ag producers across the state and across the country. Some of those issues, I think, are on most of our minds are issues that we got in Washington, D.C. They involve where we’re going with our ag policy…click link for more. Ryan Flickner with KFB Today we had our Commodities Conference here in Manhattan. We have roughly 100-125 members in town just learning about some policy implementation issues that we as an organization both here at Kansas Farm Bureau and also at the national level with American Farm Bureau need to be aware of. Clearly with the change in administration in Washington, DC a lot has changed. 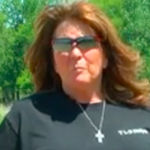 There’s a new Sheriff in town…click link for more. 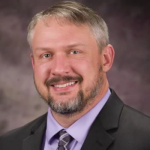 Jay O’Neil, IGP Specialist The International Grains Program at Kansas State University, what we call IGP, is a close cooperator with the Kansas Soybean Commission, as well as the other Checkoff entities, Kansas Corn, Kansas Sorghum, Kansas Wheat….click link for more. 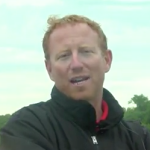 Dave Mengel and the Importance of Soil Tests Hi. 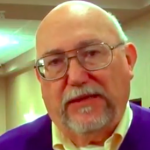 I’m Dave Mengel, retired professor from K-State. Today we talked about fertilizer use for this coming year particularly in light of some of the financial implications of low commodity prices. Really we’re emphasizing soil testing and particular skills involved with soil testing in terms….click link for more. 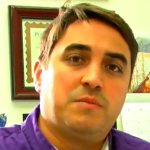 Dr. Ignacio Ciampitti with Soybean Production Management Tips Good morning folks, I’m Dr. Ignacio Ciampitti, K-State Cropping System and Crop Production Specialist. Today I would like to just briefly provide some quick tips about soybean production management…click link for more. Greg Krissek, CEO of Kansas Corn Commission I’m Greg Krissek, CEO of Kansas Corn. That’s the Kansas Corn Commission and the Kansas Corn Growers Association. 2017 is going to be a busy year for Kansas Corn, Commission activities especially. We continue to expand our work supporting the education system K through 12….click link for more. 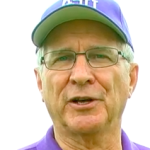 Doug Jardine, Extension Row Crop Pathologist for K-State I am Doug Jardine and I am the Extension Row Crop Pathologist for Kansas State University. This winter while we were out talking to farmers there were a few diseases that were significant in the 2016 cropping season that we were discussing with them. The three most important..click link for more. 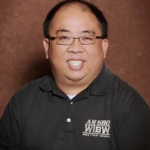 Dr. Romulo Lollato with Wheat Update after Recent Ice Storm The week of January 10th through January 16th brought to most Kansas producers an ice storm, which gets producers concerned with possible consequences of the ice storm to the wheat crop…click link for more. 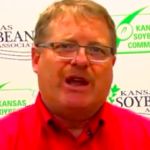 Kurt Maurath, Chairman of Kansas Soybean Commission I am Kurt Maurath. 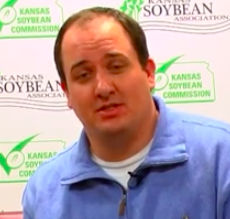 I represent the western third of Kansas on the Soybean Commission. I became Chairman last fall. I’ve served about 12 years on the commission. I’m just enthusiastic about continuing the research..click link for more. Raylen Phelon, Kansas Soybean Association Hi, I’m Raylen Phelon. 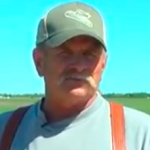 I’m a farmer from Melvern, Kansas. I’ve lived around the Melvern area my whole life, almost 55 years. 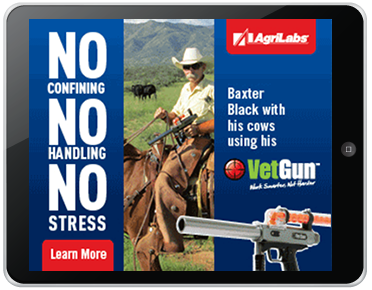 We raise soybeans, corn, a little bit of wheat, a little bit of millet….click link for more. 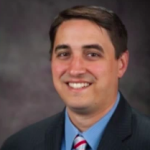 Brett Neibling and the DuPont Young Leaders Program I’m Brett Neibling from Highland, Kansas and I was recently honored by the Kansas Soybean Association as their DuPont Young Leader. 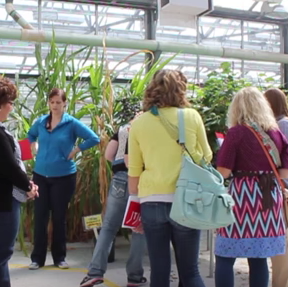 The DuPont Young Leaders Program is an organization that strives to build future farmer leaders. 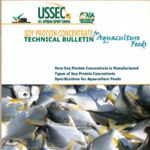 It’s co-sponsored by the American Soybean Association and DuPont..click link for more. Terry Vinduska with the Kansas Corn Commission I’m Terry Vinduska. I’m with the Kansas Corn Commission Farm in Marion County in the central part of Kansas. 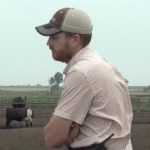 The exciting part about the Checkoff is we take the perceptions from a local farmer, we implement them …click link for more. 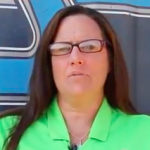 Teresa Brandenburg’s Update from the 2017 Kansas Soybean Expo Hi, I’m Teresa Brandenburg I am the Chairperson of the 2017 Kansas Soybean Expo. 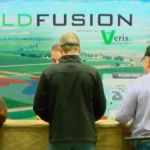 We are so excited to be here today with all of these farmers from across this state, and really just round out a great day of education….click link for more. Dr. Ignacio Ciampitti discusses 1st Corn School Hello, my name is Dr. Ignacio Ciampitti, and we are here in Wichita on our first 2017 Kansas State Corn School. Key topics that some of the speakers who are highlighting on this event who are related to wheat control, very critical for successful corn production; economics, fertilization and corn efficient..click link for more. 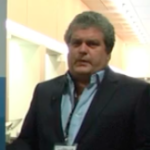 Tom Cohen, CEO of Nanopore Diagnostics Hi, my name is Tom Cohen. 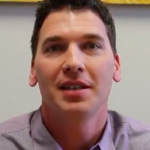 I’m the co-founder and CEO at Nanopore Diagnostics. We’re developing a rapid onsite platform for screening for microbial pathogens in a wider array of sample types. This could be, for instance, in looking at crop pathogen detection….click link for more. Tomas Pena with S4 Hello my name is Tomas Peña. I’m US Country Manager and Co-founder of S4, and we’re here in the Van Trump Conference in Kansas City because we were invited by the iSelect group from St. Louis because we represent one of the startups index in the St. Louis community. 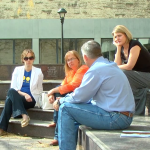 We won the Arch Grant Awards….click link for more. 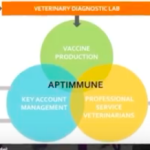 Steve Berger with Aptimmune Biologics Hi, I’m Steve Berger from Aptimmune Biologics in Champagne, Illinois, and I am the development director for the preparation of our vaccine formulation. 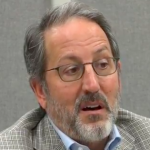 Aptimmune is developing mucosal vaccines for swine, particularly against two diseases…click link for more. Scott Dyer with BayoTech I’m Scott Dyer with BayoTech. 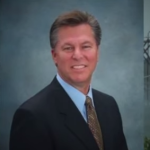 I am the Business Development Director, Vice President of Business Development for BayoTech. We make nitrogen fertilizer plants. These plants are unique. The plants come in three shipping containers already preassembled, they get plumbed at the destination and within a short period of time you’re making nitrogen fertilizer….click link for more. 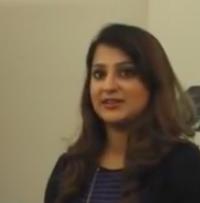 PheNode, A Remote Field Phenotyping Station My name is Nadia Shakoor. I’m a scientist at the Danforth Plant Science Center in St. Louis and we’ve developed a technology called the PheNode, which is behind us. 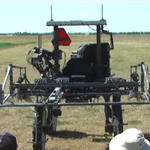 The PheNode is a remote field phenotyping station. 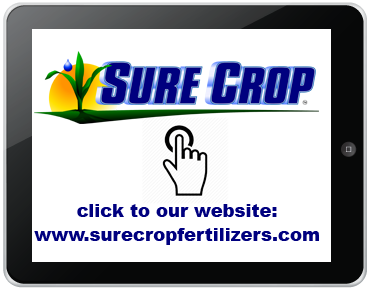 It’s designed to help you monitor your crops in real-time as the plants are growing and help make decisions…..click link for more. 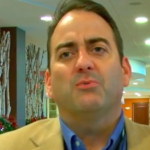 John Newton, Director of Market Intelligence for AFBF Hi, I’m John Newton, Director of Market Intelligence for American Farm Bureau Federation. Today I’m here at the Van Trump Conference where I sat in on the ag policy panel. 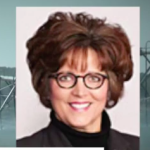 We discussed Farm Bureau’s position….click link for more. Wheat Scab Wheat scab has been described as a wheat industry threatening disease. So essentially, this fungus thrives on corn stubble. And when you plant wheat from corn stubble, this fungus jumps into the wheat flowers and causes the disease. 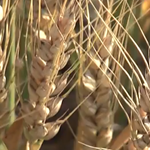 All the wheat essentially were susceptible to this disease….click link for more. 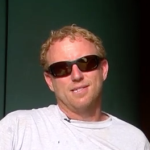 Jessie McCurry with KS Grain Sorghum Had a recent opportunity to make a change. 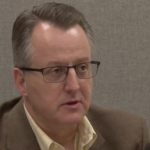 This has been somewhat in the works from a number of perspectives for a while, where the Kansas Grain Sorghum Producers Association Board and the Kansas Grain Sorghum Commission Board….click link for more. Is Kansas Wheat Ready for Winter Today, we’re going to evaluate the conditions of Kansas wheat, as far as going into the winter and what’s the likelihood that it’s going to have a successful winter survival. What are some of the things that we need to be looking for….click link for more. Update on Resistance against Soybean Nematode The idea will be, when the nematodes go and feed on the roots of the soybeans, they will be ingesting these small molecules. These small molecules will target specific genes within the nematode and for gene silencing. 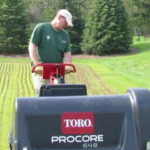 If the genes are turned off, the nematode….click link for more. 2017 K-State Crops Schools Good morning. 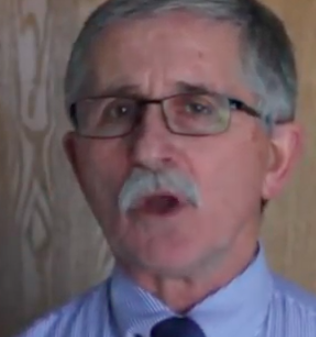 My name is Dr. Ignacio Ciampitti. 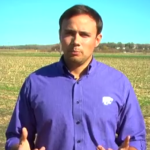 I’m a Cropping System Specialist at K-State Department of Agronomy. We are right now working, preparing, and organizing all the 2017 Crop Winter Schools activities....click link for more. 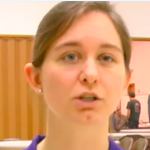 Report from the 2016 KSU Crops Team My name is Sarah Zerger. 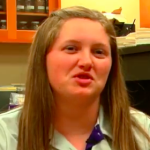 I’m a junior in Agronomy at Kansas State University. My option is in Consulting Production within Agronomy, and I’m on the Kansas State competition team. 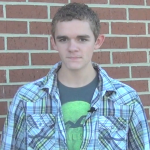 (Hayden Guetterman) My name is Hayden Guetterman. I’m from Bucyrus, Kansas……click link for more. 2016 Soybean Growing Season Update We just finish discussing with what the 2016 corn growing season has leaving behind for Kansas. 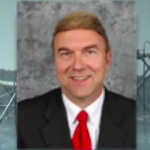 Let’s talk just a little bit about soybeans, okay?…..click link for more. Riparian Forest Buffers Riparian Forest Buffers are just a fancy term that basically describes a combination of trees, shrubs and usually native grasses along some type of a stream….click link for more. Ignacio Ciampitti with 2016 Corn Outlook Good morning. 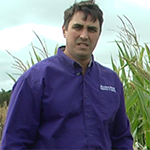 My name is Dr. Ignacio Ciampitti, I’m a Cropping System Specialist at K-State, Department of Agronomy, and today we are in the Department of Agronomy at Kansas State University, Manhattan, in the main campus just to discuss briefly what the corn growing season was leaving behind us....click link for more. Using Satellites to Map Changes in Water Availability With the current generation of satellites, we can now track changes to water availability into water storage all over the world. The pattern that emerges is one that is quite compelling in the following ways. Imagine a global pattern where the wet areas of the world are getting wetter…..click link for more. 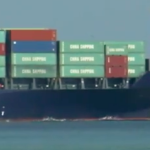 Engage Cuba Supports Changing Trade Policy Engage Cuba, the bipartisan coalition of private sector companies and organizations led by the private sector who want to see a new relationship with Cuba….click link for more. Kansas Wheat Commission sponsored Trade Team I’m Jay Armstrong. 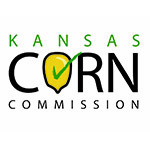 I’m the immediate Past Chair of the Kansas Wheat Commission. I live here in Muscotah, Kansas which is located in Atchison County in northeast Kansas....click link for more. Dr. Erick DeWolf with Wheat Seed Treatment The last decade or so we’ve seen a little higher commodity prices and that had stimulated some interest in fungicide seed treatments. 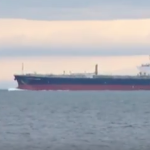 As the commodity prices have gone down again, people are starting to question...click link for more. Troy Dumler GM with The Garden City Company I’m Troy Dumler. I’m the General Manager at the Garden City Company. The Garden City Company is a landholding company, established in 1905, and we hold a lot of ground in Finney and Kearny County...click link for more. Rodger Funk and Production Changes since the 60’s I’m Rodger Funk. We actually purchased this farm from my wife’s father in ’62. Of course everything was irrigated at that time and we kept irrigating an increase in irrigation. 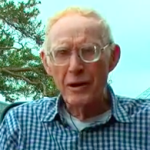 What really changed all of that in the middle ’60s.…click link for more. 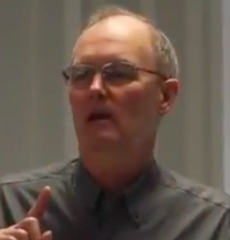 Dr. Allen Featherstone Discusses Farm Economy Last year, in 2014, about $120,000 net farm income, and then, in 2015, it dropped to about $4,500 using Kansas number…click link for more. 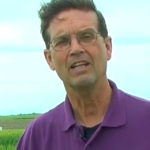 Doug Jardine Discusses Diseases in Corn and Soybeans I’m Doug Jardine, I’m the extension row crops pathologist with the Kansas State University and here tonight, at the Rossville station of the Kansas River Valley Field, I discussed a number of disease…click link for more. 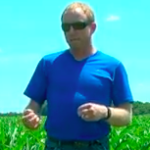 Eric Adee with Corn Fungicide Research As we are midway through the growing season this year, it’s certainly evident in fields whether or not you’re able to have successful weed control management options or not. 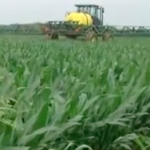 And so as we talk about having weed control options in our toolbox, atrazine is first and foremost on our minds, and the importance of the product.…click link for more. 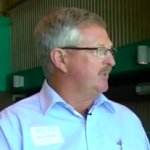 Stu Duncan Shares When it Pays to Spray Fungicides Hi, I’m Stu Duncan, Northeast Area Extension and Crops and Soils Specialist for Kansas State University based out of Manhattan, Kansas here at the Kansas River Valley Fall Field Day at the Rossville unit and tonight I visited, we visited about…click link for more. Benefits of Different Planting Systems We start talking and communicating with Great Plains with ideas of showing farmers what are the benefits of using different planting systems and also talking about weed control. .…click link for more. 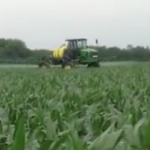 EPA’s Comment Period for Atrazine As we are midway through the growing season this year, it’s certainly evident in fields whether or not you’re able to have successful weed control management options or not. 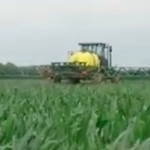 And so as we talk about having weed control options in our toolbox, atrazine is first and foremost on our minds, and the importance of the product.…click link for more. 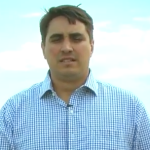 Update from Ignacio Ciampitti on Recent Corn Tour My name is Dr. Ignacio Ciampitti. I’m a Crop Production Cropping Systems Specialist at K-State. So we just finished the tour here in Salina. We organize these tours every year. 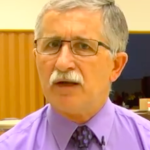 The idea is to go ahead and take a look to different fields around the Central Kansas area with the main goal…click link for more. Canola Breeder Mike Stamm My name is Mike Stamm and I’m the canola breeder here at Kansas State University, and we’re standing here on the north agronomy farm next to our winter canola breeding nursery. 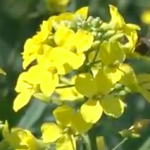 Canola makes an excellent source of food for all types of bees. If you look around here you’ll see lots of native honeybees.…click link for more. 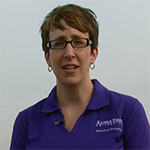 Janel Koons with Kansas Mediation Services My name is Janel Koons and I am with Kansas Agricultural Mediation Services. 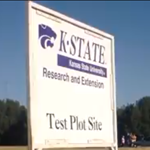 We’re administered by K-State Research and Extension here in Kansas. 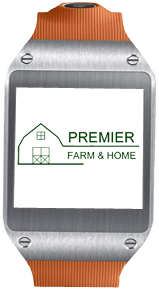 We are a USDA funded program and help producers…click link for more. Scott Van Allen hosts US Air Force Families to his Harvest Hi, I’m Marsha Boswell with Kansas Wheat out of Manhattan, Kansas. Our office is located at the Kansas Wheat Innovation Center on Kimball across from the stadium. 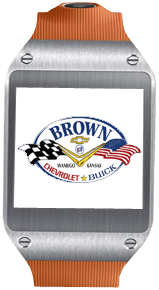 We are funded by the Check Off in the state of Kansas.…click link for more. Issues with EPA about AtrazineWelcome to AGam in Kansas. 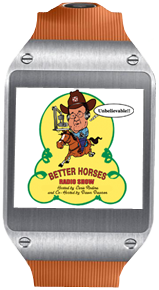 I’m your guest host, Sam Capoun, and today I’m here with Jesse McCurry. Jesse, it’s my understanding that we’re having some issues with the EPA and atrazine. Tell us a little about that. 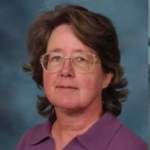 (Jesse McCurry) Yet again our favorite federal agency, the EPA,….click link for more. Phillip Stahlman with Research Update on Blue Mustard I’m Romulo Lollato, Extension Wheat Specialist with Kansas State University. Today we are here in the South Central Experiment Field near Hutchinson. 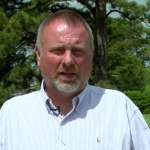 We’re going to talk to you about some of the applied information that my Research and Extension program wants to bring to you Kansas wheat producers. 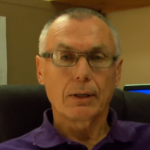 Today we are going to focus on wheat producers who are dual purpose.…click link for more. Rob Aiken and Imaging Wheat with Drones This is Rob Aiken. We’re here at the Hays Field Day, the Spring Wheat Field Day, talking about imaging the wheat canopy with drones or unmanned aerial systems and the purpose is to help wheat breeders find some improved wheat varieties. Romulo Lollato with Cattle Grazing Wheat Research Update I’m Romulo Lollato, Extension Wheat Specialist with Kansas State University. Today we are here in the South Central Experiment Field near Hutchinson. 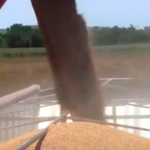 We’re going to talk to you about some of the applied information that my Research and Extension program wants to bring to you Kansas wheat producers. 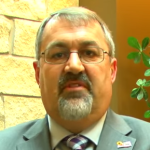 Today we are going to focus on wheat producers who are dual purpose.…click link for more. 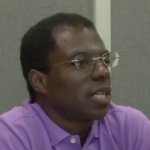 Augustine Obour on Soil and Nutrient Management My name is J.P. Michaud, and I’m the entomologist here at the Agricultural Research Center at Hays. Here on our Wheat Day — Wheat Field Day — and as an entomologist, I look at this wheat, and I see a lot of beneficial insects right now. We’ve had fairly large numbers of aphids in the wheat this spring.….click link for more. Wheat Management Research Hi! 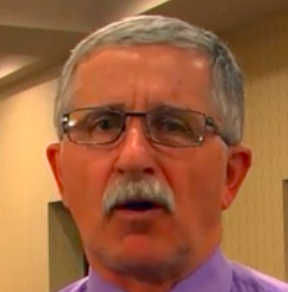 I’m Romulo Lollato, Extension Wheat Specialist with Kansas State University. Today we are here in the South Central Experiment Field just southwest of Hutchinson. We’re going to discuss a few of the projects that we have going on here with you today.…click link for more. Beneficial Insects My name is J.P. Michaud, and I’m the entomologist here at the Agricultural Research Center at Hays. Here on our Wheat Day — Wheat Field Day — and as an entomologist, I look at this wheat, and I see a lot of beneficial insects right now. 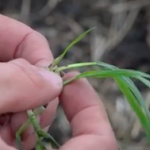 We’ve had fairly large numbers of aphids in the wheat this spring.….click link for more. 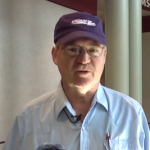 Update on Kansas Wheat by Bob Gillen Good morning. 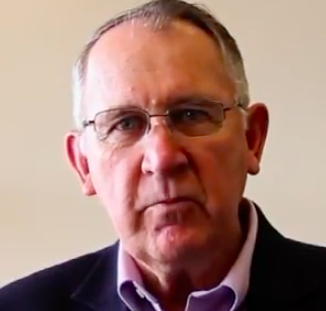 I’m Bob Gillen, head of the Western Kansas Agricultural Research Centers. We’re here at the Agricultural Research Center in Hays today for the Kansas Wheat Day. We’ve got a beautiful day as we look at the wheat right behind us. 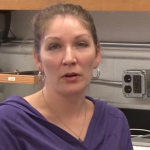 This is the largest off-campus research station in the K-State system.….click link for more. Economic Impact of Uncontrolled Weeds What we asked scientists around the US and Canada was to give us up to 10 individual trials per year between 2007 and 2013 where they looked at an untreated check. 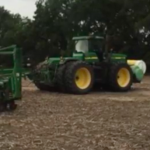 How much yield did they get from a plot where they didn’t control weeds and then their best weed control plot.…click link for more. 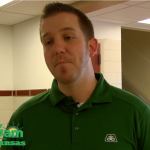 Why Tori Dickson Added Sorghum This Year Hello. My name is Tori Dickinson. I farm in Oswego Kansas, along the Neosho River. 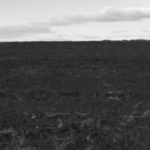 Today we brought you out to a field that has some good ground and some poor ground. 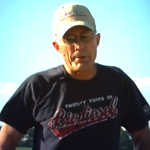 We planted it a little, we planted 10 acres to corn and we planted the rest to milo.….click link for more. Wheat Varieties and Plant Population Good morning. 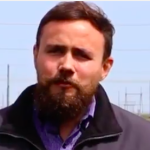 I am Romulo Lollato, Extension Wheat Specialist, with Kansas State University, and today we are here at south central Experiment Field near Hutchinson, and we are going to talk about some of the experiments that we have going on….click link for more. Peter Mishek and the Grays Harbor Project Hi, my name is Peter Mishek. I’m an International Marketing Consultant. I represent AGP and SRDC. SRDC is a group of states, which includes Kansas Soybean Research and Development Council and basically what we do is we invest in projects to export more soybeans…..click link for more. Choosing a Wheat Variety for your Operation Hi, this is Romulo Lollato, Extension Wheat Specialist with Kansas State University, and today we’re here in South Central Experiment Field near Hutchinson, and we’re going to talk to you a little bit about how to choose a wheat variety, and what tools do you have here in the state of Kansas that can help you choose the right variety for your operation.…..click link for more. 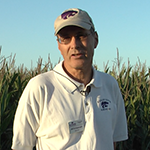 Overcoming Challenges of Growing Corn I’m Chris Little, I’m at K-State in the Department of Plant Pathology and we work on row crop diseases, specifically soybean and sorghum. 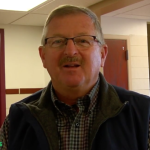 The kinds of work that we’re doing in soybean is really looking at an important disease that’s kind of emerging in this part of the country called Sudden Death Syndrome, or SDS for short…click link for more. 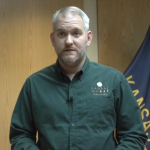 David Blasi and Fungicides on Wheat I’m David Blasi. I live here in Pratt County Kansas, northwest of Pratt about a couple miles. We’re standing in front of my county demonstration plots. We do grow certified seed for several companies. Since January one until about the 15th of April we’d had .90 of rain.…..click link for more. 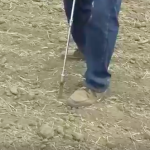 Soil Health Hi I’m Mark Pettijohn standing in an Ohlde grain field, wheat field that was planted October 7th of last year. We were out here today to see if the flag leaf has emerged, but it’s still down in the whorl, so we’re kind of early with our TwinLine. …..click link for more. Soybean Breeding Research My name is Bill Schapaugh. 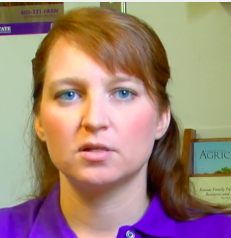 I’m a soybean breeder with the Agronomy Department at Kansas State University. 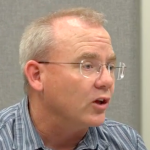 I work along with Tim Todd, who is a nematologist in the Plant Pathology Department and Harold Trick who is a plant transformationist in the Plant Pathology Department.…click link for more. Mark Pettijohn, Wheat Update Hi I’m Mark Pettijohn standing in an Ohlde grain field, wheat field that was planted October 7th of last year. We were out here today to see if the flag leaf has emerged, but it’s still down in the whorl, so we’re kind of early with our TwinLine. …..click link for more. Dustin Conrad, Corn Planting Good morning, my name is Dustin Conrad. We’re out here in central Kansas, outside of Solomon. We’re wrapping up some of our corn planting for 2016 year. We’re putting in a plot right now of different varieties. We have a couple of numbers from Stine Seed, Pioneer Seed, Olde Seed, and Hoegemeyer Seed also.….click link for more. 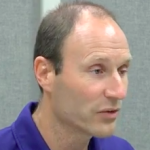 Dr. Chris Little’s Work with SDS I’m Chris Little, I’m at K-State in the Department of Plant Pathology and we work on row crop diseases, specifically soybean and sorghum. 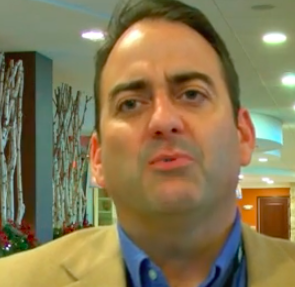 The kinds of work that we’re doing in soybean is really looking at an important disease that’s kind of emerging in this part of the country called Sudden Death Syndrome, or SDS for short...click link for more. Brown Recluse Spider The Brown Recluse Spider is common not only in homes, but also in outbuildings, sheds, anywhere that is a dark, undisturbed area. They particularly like to get inside of cardboard boxes, burlap sacks, areas like that.….click link for more. Will McNair with US Soybean Export Council I am Will McNair with the U.S. Soybean Export Council. I manage industry and state relations. 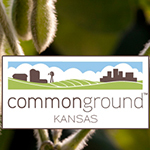 We’ve been good partners with the Kansas Soybean Commission for quite a while. 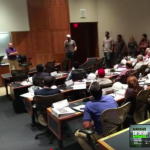 Kansas, within the past year, has invested in three particular projects-Japanese courses at Kansas State University….click link for more. Recent Freeze Damage in Wheat As we know we had a warm winter, so overall the wheat was ahead and is ahead in its development. 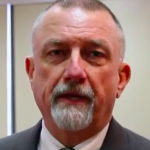 On average in the state anywhere from two to three weeks ahead of schedule for this time of the year....click link for more. 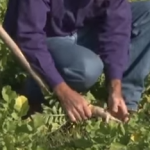 Alternatives to Fight Resistant Weeds I’m Doug Shoup. 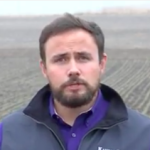 I’m the Southeast Area Agronomist for Kansas State University and a lot of our winter programming this winter has been focused on weed control. 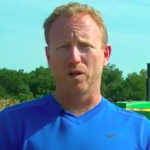 And really a lot of our effort has been focused on pigweed control…..click link for more. Results of 2015 KSU Soybean Research I’m Andy Winsor. We farm near Grantville, Kansas, just east of Topeka and we farm in the Kansas River Valley and in the hills to the north. This past year in 2015 we participated in a research study that K-State Research conducted..click link for more. 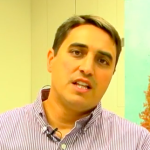 Planting Tips for Nest Growing Season Good morning, my name is Dr. Ignacio Ciampitti. 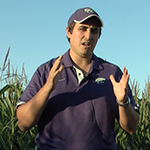 I am a Cropping System Specialist at K-State. Today we are in one of our Soybean Schools. We have four schools around the state. 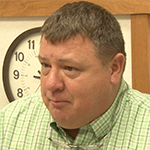 This is one of our schools that is covering the central, east section of the state.…click link for more. Mares tail Research at KSU My name is Chelsea Ahlquist. 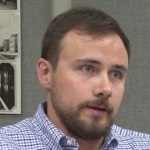 I am a graduate student at Kansas State University working in the Agronomy Department, looking at weed science. 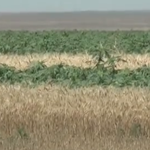 So my project, one of my projects is mainly looking at Marestail when it emerges in eastern Kansas and when it’s bolting. ..click link for more. Doug Jardine, Soybean Diseases I’m Doug Jardine and I’m the Extension Row Crop Specialist at Kansas State University. And today I’ll be talking about soybean diseases. 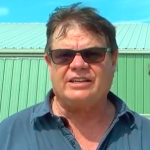 And one of the things I’m going to make a point with the growers is that there can be large swings in the amount of specific diseases from year to year…click link for more. 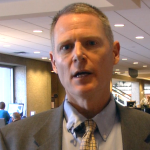 KARTA I’m Jeff Buehler with the Kansas Ag Research and Technology Association. We’re excited to be here at our 19th Annual Winter Conference. KARTA is a member driven organization that supports ag technology and on-farm research. 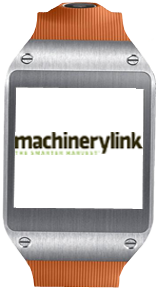 We bring a lot of vendors in dealing with precision ag, general agriculture...click link for more. Wheat, Corn, Soybean & Sorghum Commission My name is Brian Linin, I’m here with the Kansas Wheat Commission and glad to be here Waking Up Topeka, for the Ag Breakfast here. And we’re here today to give the Kansas Wheat Commission’s report to the Senate and House Ag Committee today...click link for more. Kaylon Phelon, President KS Soybean Association Good morning my name is Raylon Phelon, I’m a farmer from Melvern, Kansas. 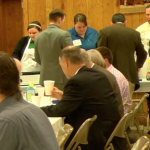 I’m the President of the Kansas Soybean Association and this morning we’re at the Wake Up to Kansas Legislative Breakfast and we’ve got a whole bunch of representatives, Senators…click link for more. 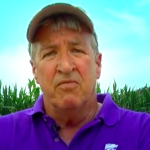 Corn Disease Issue I’m Doug Jardine and I’m the Row Crops Extension Specialist for Crop Diseases for K-State. 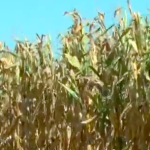 And we’re here at today’s Corn Production School to talk about some of the corn disease issues that we had in 2015, what were some of the root causes, what they could’ve ..click link for more. 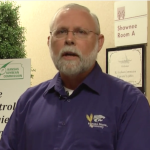 Managing Resistant Weeds Curtis Thompson, I am Extension Weed Specialist for Kansas State University. And we were here today talking to corn growers about weed management and what we really need to do to manage the resistant weed populations that we’re dealing with here in Kansas. ..click link for more. 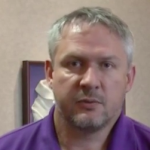 My Fields Info I’m Brian McCornack from the Department of Entomology at Kansas State University. And today at Corn Schools, I’m talking about myfields.info. This is a product that’s been around for about three years. Most of the work that we’ve done today has been in small groups, getting feedback from growers, consultants, county extension agents, even some researchers. …click link for more. 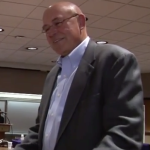 Kansas Soybean Update with Doug Shoup This is Kansas Soybean Update. It’s brought to you by the Kansas Soybean Commission. The Soybean Checkoff, Progress Powered by Kansas Farmers. 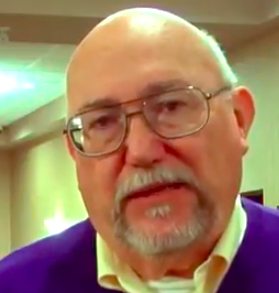 Doug Shoup, who serves as the Chair of the Kansas Soybean Yield and Value Contest joins us. …click link for more. Kansas Soybean Update Another one in the books. I always look forward to this day because it’s a day that serving farmers from across the state get to come to Topeka, we get together and really learn some new skills, get some great information, plan for the next year. 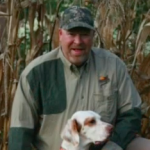 I’m always really excited to see those people that take the day away from their farm and come out here to really get better at what we do….click link for more. USDA’s Days Suitable for Fieldwork I am Terry Griffin. 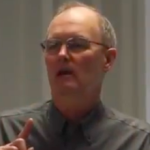 I am the Cropping Systems Economist here at Kansas State University. Today we’re talking about some of the work that we’ve done in 2015 with Days Suitable for Field Work that come from USDA. Today though, we’re adding some information about Kansas corn. …..click link for more. 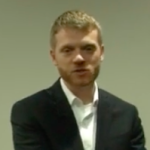 Economics of Fertility Management My name is Lucas Haag and I help lead a team that puts together the annual Cover Your Acres Conference here in Oberlin. This is our 13th annual conference. And so we really pride ourselves in being research driven and being focused on the needs of producers right here in the central plains. ….click link for more. 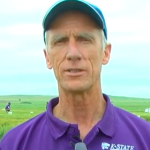 Nitrogen in Starter Fertilizers I’m Dave Mengel from the Agronomy Department K-State. And this morning we talked a little bit about nutrient management and being more efficient here in 2016, how to get the most bang for our fertilizer dollar. There were three basic areas that we focused on……click link for more. 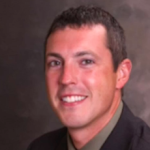 2016 Corn Market Outlook I’m Dan O’Brien, Extension Agricultural Economist with Kansas State University. We spoke at the 2016 Corn School in Salina about corn market outlook for this current year of 2016. Of course, the big challenge is that we’re in the midst of very…..click link for more. Cover Crop Research I am Doug Shoup. 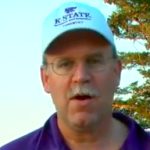 I am the Southeast Area Agronomist for Kansas State University. And I’m here today to talk to you about some cover crop research that we’ve been doing in Kansas over the last several years. 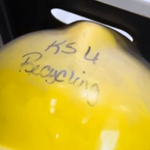 This was a project that was funded by the Kansas Soybean Commission last year…..click link for more. 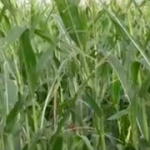 2016 Corn Schools – January We’ve been looking at cover crops in a wheat, sorghum, soybean rotation where we insert cover crops between the wheat and the sorghum. We’ve also looked at cover crops between soybeans and corn. If we’re really after residue, we want things like the cereals, the summer annuals….click link for more. Cover Crops We’ve been looking at cover crops in a wheat, sorghum, soybean rotation where we insert cover crops between the wheat and the sorghum. 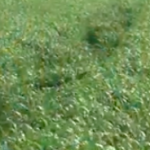 We’ve also looked at cover crops between soybeans and corn. If we’re really after residue, we want things like the cereals, the summer annuals….click link for more. 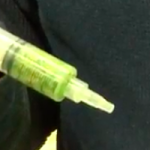 How to Modify a Fast Applicator My name is Dustin Conrad. I work for a farmer out here in Solomon, Kansas, and this year we decided to modify our 8013N Fast Applicator that we bought last winter. 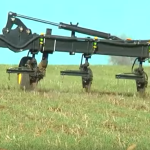 We decided to use it not just for side dressing row crops, we are deciding to use it to top dress our wheat with the theory of it helping getting into the soil ….click link for more. 2016 Soybean Schools I’m here at the Kansas Soybean Commission reviewing our past successes with our Kansas Soybean School that we’ve held statewide in 2014 and 2015. 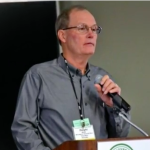 The purpose was to get the most current, up-to-date, unbiased information to our key stakeholders, be that farmers, soybean producers number one, but also support personnel, be it industry or private or extension…click link for more. Soil Affect Civilization Many authors have documented the rise and fall of civilizations that are related to how soils are managed and the quality of the soils. There are a number of societies around the world that have risen and fallen because of their degradation of their soil resource. …click link for more. 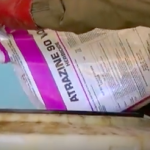 Importance of Atrazine And today we are talking about the importance of Atrazine and its use in our crop production aspects of weed management. We continue to see the herbicide Atrazine, as others, being targeted and consistently being reviewed. But I think I’m very confident in all of the research…click link for more. 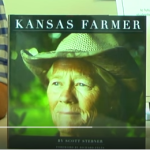 Orrin Holle – Kansas Farm Book My name is Orrin Holle. I’m from Rawlins County, Atwood, and I’m a fifth generation Kansas farmer. We started in Kansas in 1892 and been proud to be back in northwest Kansas and farming up there. I’ve been involved in Farm Bureau since the age of 18 at a young farmers and ranchers conference here in Manhattan. ….click link for more. Kansas Farmer Book My name is Scott Stebner and I’m the owner of Scott Stebner Photography at scottstebner.com. And this is a project I say is 33 years in the making. I grew up in southern California. 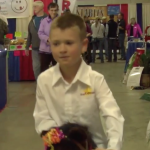 My Mother was a horse trainer and we didn’t really get involved in livestock until I started in my county 4-H club….click link for more. Soil and Climate Affect Civilizations There’s lots of examples of past civilizations that were losing their soil through tillage practices, basically through agricultural practices that were gradually removing a little bit of soil every year. And because that pace is so slow sometimes, people don’t notice it until it’s too late….click link for more. Jeff Grossenbacher – KFB I’m Jeff Grossenbacher, Vice-President of Kansas Farm Bureau wrapping up this year’s resolution process with our delegate body. One of the main issues we discussed at length was the Water Transfer Act in Kansas……click link for more. 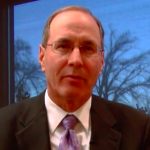 Soybean Update – Steve Swaffer This is the Kansas Soybean Update. It’s brought to you by the Kansas Soybean Commission. The Soybean Checkoff, Progress Powered by Kansas Farmers. 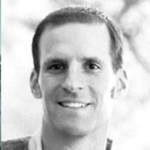 Steve Swaffar, Executive Director of No Till on the Plains is joining us and Steve, its a big celebration coming up January 26th and 27th for the 20th Anniversary of the No Till on the Plains Winter Conference…..click link for more. 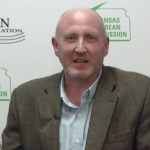 Soybean Update – Charles Atkinson This is the Kansas Soybean Update. It’s brought to you by the Kansas Soybean Commission. The Soybean Checkoff, Progress Powered by Kansas Farmers. 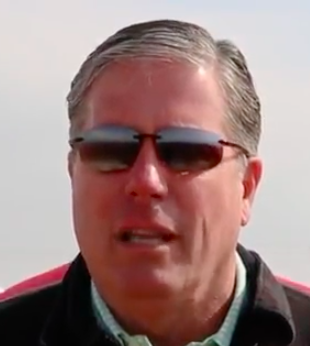 Charles Atkinson is a Great Bend soybean farmer and was just recently elected to the Board of Directors of the American Soybean Association……click link for more. Soybean Update This is the Kansas Soybean Update. It’s brought to you by the Kansas Soybean Commission. 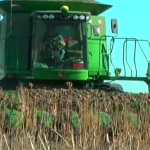 The Soybean Checkoff, Progress Powered by Kansas Farmers. 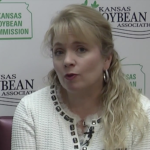 Teresa Brandenburg from Osborne serves as the Chairperson of the Kansas Soybean Expo Committee…..click link for more. Soybean Update – Richard Wilkins This is the Kansas Soybean Update. It’s brought to you by the Kansas Soybean Commission. The Soybean Checkoff, Progress Powered by Kansas Farmers. 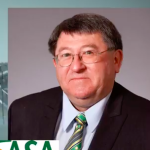 Richard Wilkins serves as President-Elect of the American Soybean Association…..click link for more. 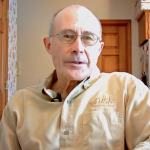 Soybean Update – Greg Anderson This the Kansas Soybean Update. It’s brought to you by the Kansas Soybean Commission. The Soybean Checkoff, Progress Powered by Kansas Farmers. 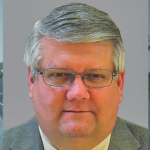 We’re joined now by Greg Anderson who is part of the governing board for the National Biodiesel Board. 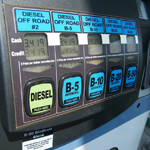 Greg, alot to talk about, but of the fact the use of biodiesel….click link for more. 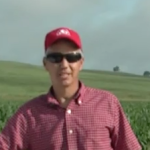 Kansas Corn Crop Update Duane Toews, with you again on AGam in Kansas. And while at the Wichita Farm and Ranch Show Market Shootout IX with KFRM and the Wichita Farm and Ranch Show. 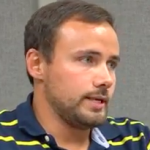 Derrick Hermesch joined us. 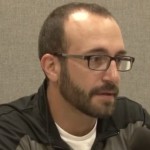 Opportunity to talk a little more in depth about corn as specifically Derrick ….click link for more. 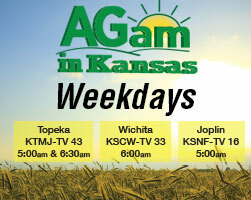 Kansas Wheat Crop Update Duane Toews joining you once again on AGam in Kansas. 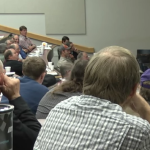 And while at the Wichita Farm and Ranch Show we hosted the Market Shootout IX, an opportunity to hear from the market analysts on KFRM about different topics that they spoke with producers that night. 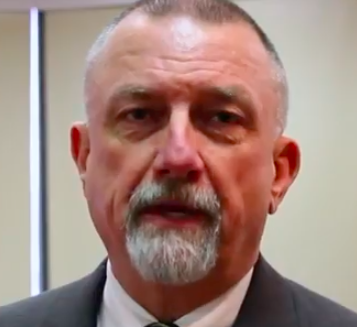 We take the opportunity to talk specifically with Pete Loewen, Loewen and Associates…..click link for more. 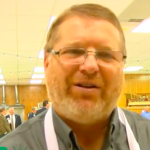 Kansas Soybean Update Duane Toews joining you once again from the Wichita Farm and Ranch Expo, Market Shootout IX, a program that KFRM provides to around 500 producers across Kansas that take in the event. An opportunity to catch up with the analysts specifically to talk about one commodity and an opportunity to catch up with Mark Gold…..click link for more. Grazing Wheat Good morning, my name is Rumulo Lollato and I am the Wheat and Forages Extension Specialist with Kansas State University. 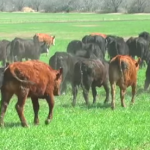 And today we’re going to talk about grazing wheat pastures and what you should consider when managing your grazing, your wheat pasture…click link for more. Leadership KFB Hello, I’m Jill Casten, Senior Director of Training and Education at Kansas Farm Bureau and very excited that we’re wrapping up our first class of Leadership Kansas Farm Bureau, here at the KFB Annual Meeting. Leadership KFB was a program that we started in 2015 with ten participants in our first class. ..click link for more. 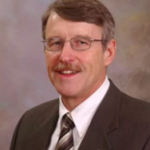 KFB President Good morning, I’m Rich Felts, President of Kansas Farm Bureau. And what an exciting time to have my first opportunity to lead this group. And we’ve got several issues that are going to be on our table tomorrow when we do our business session. 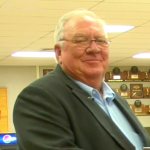 But here today we’ve had the opportunity to recognize a lot of friends of Kansas Farm Bureau…click link for more. Double Crop Sunflowers Hi I’m Mark Pettijohn here by Solomon. And we are on our last double crop sunflower field, which was planted July 21st, following 44 bushel wheat crop. We came in and had numerous attempts to plant this field, probably four different times. It was wet. We finally finished it wet. …click link for more. 2016 Sorghum School Good morning folks, welcome to AGam in Kansas. 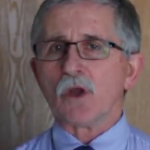 My name is Dr. Ignacio Ciampitti. I am a Cropping System Specialist working row crops here at K-State. And today I would like to talk about Crops Schools. 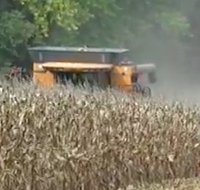 If you recall the last previous weeks we were talking about the Corn Schools and the Soybean Schools….click link for more. 2016 Soybean School Good morning folks, welcome to AGam in Kansas. Last week we were talking about corn schools. This week we want to focus in…trying to communicate what are the next schools coming on this winter crop school program? Next schools are the soybean schools. …click link for more. 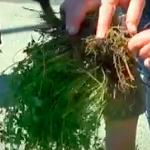 Soil Supports Rec Activities Soils really support recreation, especially in turf grass systems. On these recreational areas that turf is grown on, includes sports fields, recreation fields, parks and golf courses. On athletic fields we see a wide range of soil types. There’s manufactured soil bases….click link for more. 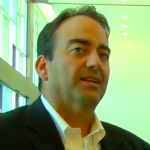 Update on Kansas Wheat Crop Good morning my name is Romulo Lollato. 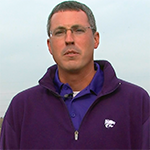 I am the Wheat and Forages Extension Specialist with Kansas State University. And today we’re here in the North Farm and we’re going to discuss with you a little bit of the current conditions of the wheat crop….click link for more. 2016 Corn Schools Good morning folks. 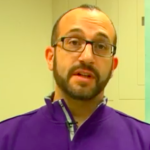 My name is Ignacio Ciampitti, I am a Cropping System Specialist at Kansas State University and today, this morning I would like to basically talk about the winter crop schools. 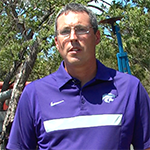 And this is a big program that we are putting together with our extension faculty here at Kansas State University….click link for more. 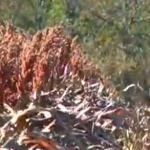 Atrazine Atrazine recently seems to be under some fire from the EPA. What are your thoughts on that? (Ken) Well, it seems like the EPA has decided that all the studies that we’ve done for the past 40 years don’t matter. So they want to study it again. 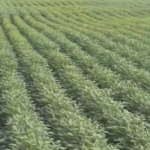 And Atrazine is the most studied herbicide that’s ever been made…..click link for more. ALS Resistant Sorghum Some new technology that is on the verge of registration, OK, and that is the ALS resistant grain sorghum. Inzen Sorghum is the brand name that DuPont has applied to this sorghum. And what we’re after with this technology is to be able to come in on this special sorghum …click link for more. Sorghum Contest Hi I’m with NRCS. A lot of times they’ll call us with a resource concern whether it be soil, erosion or out in a pasture with brush or needing better grazing management or additional water. And with the soil erosion a lot of times just doing no till will take care a lot of the sheet real erosion….click link for more. 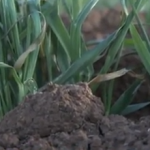 Clay Soils in Kansas Well there are two main components of soil that really supply the benefits that plants need to be able to grow, and that would be the soil organic matter. In addition to that its dominantly clay minerals, the minerals that occur in the clay fraction, in the clay particle size, they’re largely the minerals that supply…click link for more. Trans-Pacific Parnership So the agreement has been reached by the negotiating parties, and the next step is the President is going to go to Congress and tell Congress basically that he intends to sign the agreement. 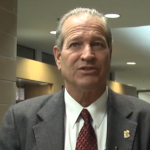 And as soon as that intention is communicated to Congress…click link for more. 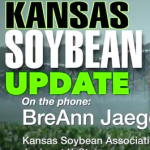 Soybean Update – Karen Hanson This is the Kansas Soybean Update. It’s brought to you by the Kansas Soybean Commission. The Soybean Checkoff, Progress Powered by Kansas Farmers. 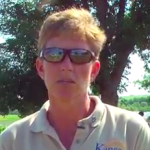 Karen Hanson, Registered Dietician with HyVee, joins us and Karen you had the privilege of being a part of the Farm Food Tour that took place across Kansas….click link for more. Soybean Update This is an effort which the Kansas Soybean Commission and a couple of the surrounding states, specifically Nebraska, Iowa, and North and South Dakota are involved in, to build relationships with our fellow agriculturalists to the south, the people that are raising livestock in Mexico…..click link for more. Soybean Report – Jim Sutter This is the Kansas Soybean Update. It’s brought to you by the Kansas Soybean Commission. The Soybean Checkoff, Progress Powered by Kansas Farmers. 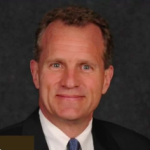 Jim Sutter, CEO of the U.S. 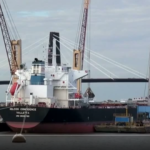 Soybean Export Council joins us and Jim, back in September USSEC hosted the Third Annual U.S. Soy Global Trade Exchange…..click link for more. Bloggers on Farm Food Tour This is my second time attending the Farm Food Tour. The first time was last year. Last year when we attended we got the chance to visit the farmers on their actual farms. So it was a way for us to discover more about the farmer’s lives and to actually talk with them personally and to be able to be up and close and ask them questions ….Click link for more. 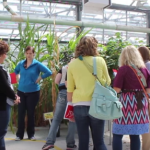 Dietitians on Farm Food Tour I’m really excited to be on this trip. One of the best things for me is being able to take information back to my clients and be able to answer their questions about agriculture better, especially when it relates to things like GMOs, antibiotics and hormones. That’s why I really loved this trip. We started off at Merck…..Click link for more. Sugar Cane Aphid For the last couple of years a new insect pest, the sugar cane aphid, started attacking sorghum fields in the southern states. And this year it was observed massively in all sorghum fields in Kansas. So, we are scouting our plots for that purpose and then we noticed something interesting….Click link for more. Soybean Update – NASS The latest numbers from our October 1 survey showed the U.S. soybean crop is forecast at 3.89 billion bushels. That’s down one percent from September and down about one percent from last year. (Greg) Were there any changes as far as yield size and harvested acres? ….Click link for more. 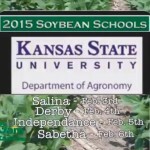 Soybean Update – Soybean Plant Judging KSF This is the Kansas Soybean Update. It’s brought to you by the Kansas Soybean Commission. 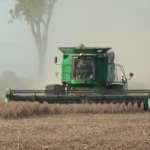 The Soybean Checkoff, Progress Powered by Kansas Farmers. 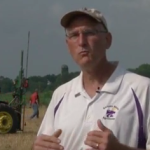 Dr. Kevin Donnelly, Professor of Agronomy at Kansas State University is joining us. 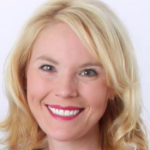 Dr. Donnelly ….Click link for more. 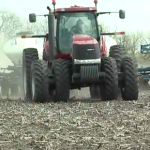 Before Selling Your Farmland When a farmer is trying to decide whether or not to let a piece of land go, they have to take a really strong look at their cost of production and what their expectations are for crop prices going forward. 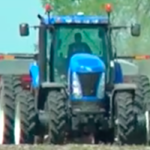 And try to figure out whether or not they can make that piece of land cover their variable cost of production, like their inputs, their labor and their machinery ….Click link for more. Farm Food Tour I’m Megan from Kansas Farm Bureau and we are here with some of our good friends from pork and soybean and we’re going to talk about a great tour that we just wrapped up. 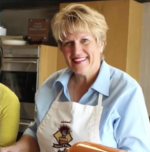 (Jodi) And I’m Jodi Oleen with Kansas Pork Association, and we’re here to visit about this amazing Farm Food Tour that we go on …..Click link for more. How Soil Protects Nature Having a healthy soil is important to the environment from a number of aspects. The microorganisms, fungi, bacteria to the large organisms, the earthworms that we can see. And that whole ecosystem of the soil organisms work together to transform our plants residues and decompose them in to available nutrients…..Click link for more. Soybean Yield Contest My name’s James Coover, I’m out here at Pettijohn Farms here south of Solomon. We’re in Dickinson County and what we’re doing today is we’re actually doing the Yield Test. It’s for the Soybean Yield Contest. The procedure is pretty simple. 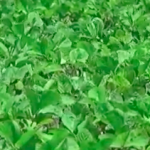 What we’ll do is measure out an area of the soybeans, at least it has to be five acres or more….Click link for more. 2015 Sorghum Update Sorghum conditions across the state are looking very favorable. We also are presenting some potential issues close to the end of the season. 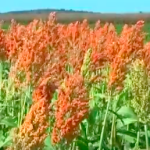 So, what other things do we need to know about sorghum at this point? Its dimensions are presenting by the USDA around mid-August are showing that sorghum yield looks able to match previous years. …Click link for more. 2015 Soybean Update So what happened in soybeans across the state of Kansas, soybeans are reaching the end of the season. We are reaching grain filling. 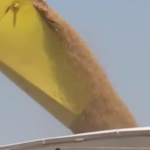 So, what is the term grain filling? 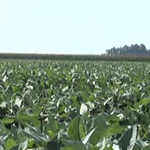 Grain filling means at this time, most of the pods, most of the soybeans around the state have already set the pods…Click link for more. 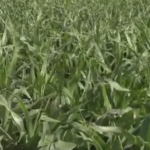 2015 Corn Update So all the corn in Kansas is getting really close to maturity. One of the symptoms to see when the corn is at maturity, we check our corn ears and we tend to see at the bottom of the ears if the black layer has been formed. What is the point of having the black layer? …Click link for more. Soybean Update – Weather Outlook Well the weather is actually looking pretty favorable from the harvest standpoint. The question will be just how much of the rain materializes. We’re looking at temperatures being in the moderate range, with highs maybe approaching 80 degrees towards the midweek in advance of the next frontal system. …Click link for more. 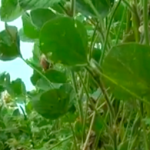 Soybean Update – Crop Rotation That’s correct, you know rotation is a very important part of an integrated pest management program to manage plant diseases. But really to get the most benefit out of rotation there are some additional considerations to think about….Click link for more. Soybean Update We had three categories, the main dish, and that was a peanut soy noodle bowl. We had a dessert, and that was a simple soy nut cookie. And we had quick and easy snacks, and that was soy party dip. They were just very lovely recipes….Click link for more. 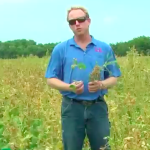 Soybean Update Well certainly we did have a bit of a difficult year for for weed control in soybeans and part of it was related to some of our herbicide resistance issues and certainly the weather complicated things too as far as getting things done in a timely manner …Click link for more. 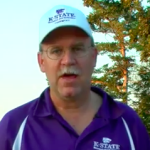 Wind Breaks Good morning I’m Charles Barden with K-State Research and Extension Forestry. 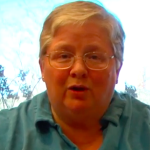 I’d like to visit with you today about windbreaks. We’re just on a field day here with the KLA and we saw some excellent windbreaks that were put in to protect the cows and calves as they were calving in the fall and in the spring. …Click link for more. Cover Crops In recent years we’re beginning to focus more on the soil moisture status and how these cover crops affect soil moisture. 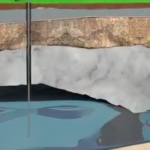 What we have going behind us is they’re installing neutron access tubes so we can measure the status of the soil moisture down to 9 or 10 feet and look at water extraction..Click link for more. 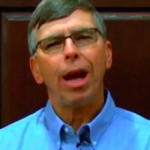 Chuck Rice – Soil Soils are a wonderful diversity of microbes in this living soil. What most people don’t understand is the value of those organisms directly for us, for humans. Over 90 percent of our antibiotics that we use currently for our health came from microorganisms and fungi that we have discovered drugs for. …Click link for more. 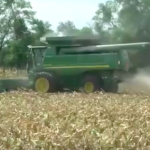 Mark Pettijohn – Corn Harvest Hey we’re here at a 180-acre field in Saline County. We’re cutting this field as wet corn, hauling it to a local feedyard. It was planted April 6th. It’s a Pioneer 1151 and Pioneer 1498 variety, both. It’s a hot day today and it’s drying fast. 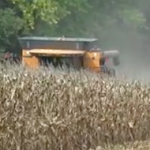 The corn was also …Click link for more. Mark Pettijohn – Sunflower Hi folks, this is a double crop sunflower field in Saline County, right on the line with Dickinson County. It’s a 30-acre field that produced really good 60 bushel wheat and has amazing flowers right now. Planted June 30th. That’s earlier than we’ve ever planted them, which accounts for their large height. …Click link for more. 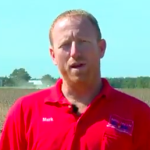 Mark Pettijohn – Soybeans Hi this is Mark Pettijohn. We are in eastern Saline County in a 36- acre soybean field planted I think, on June 7th. I turned my head for two weeks here in July and I only recently sprayed it three days ago, as the pigweeds were almost as tall as I am. And I sprayed a product called Cobra and of course with some glyphosate. …Click link for more. Ignacio – Farm Research So the On-Farm Research Program for K-State is trying to bring the university to farmers. And the goal is the way to start to be more relevant and start to be close to farmers is to work immediately with them. And one of the things we are working on, this is trying to make sure that we are relevant for farmers and we are producing…Click link for more. 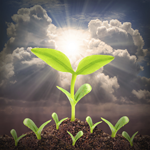 Ignacio – Soybean App Good morning folks, my name is Dr. Ignacio Ciampitti. 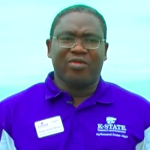 I’m a RowCrops, State Cropping Systems Specialist in Crop Action at K-State Department of Agronomy. Today I would like to talk and introduce the new concept of how to estimate soybean yields before harvest. 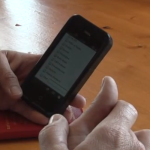 So, here we have a new kind of way to communicate and extend information to….Click link for more. 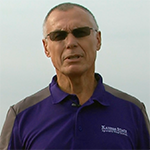 Terry Griffin – KSU I arrived at Kansas State University about seven months ago and for my own information I wanted to track the probability of being able to conduct fieldwork in Kansas for planting, harvesting and other tillage operations. And so every week I started collecting data from USDA National Ag Statistics Service on the days ….Click link for more. 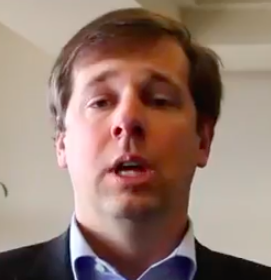 Soybean Update – Troy Soukup So, the main idea that I was looking at is there’s a lot of interest in local management of water here in Kansas, especially groundwater. But there’s lots of issues especially surface water issues as well. The question is-can local water users, irrigators, come together and collectively manage their water resource better, especially for groundwater? ….Click link for more. 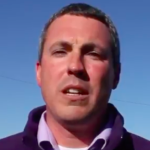 Soybean Update – Dan Bigham What they try to do is take young producers from around the state, try and get them involved in some programs around the state that the Soybean Association and Commission’s involved in. 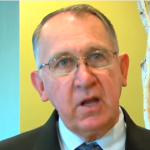 The first part of the deal is you just kind of explain what the Soybean Checkoff’s….Click link for more. 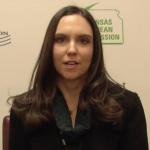 Soybean Update – Jenny Choquette The Soy Council provides us with resources and tools and funding as well, to incorporate information about soybeans and how they grow and where they come from in our food nutrition classes. 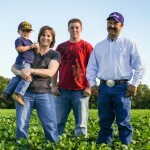 (Greg) What do you see are the biggest benefits in this relationship that you have with Kansas Soybeans? …..Click link for more. Soybean Update It kinda came to me by chance. 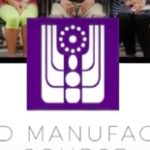 I had applied for the Biotech University trip, which is sponsored by Kansas Soybeans and I got a call from them and they were really impressed with my resume and they asked if they could put me into the running for an internship and I was more than ecstatic to let them do that because if anything…Click link for more. Jeff Whitworth I’m Jeff Whitworth, Extension Specialist in Entomology for Kansas State University. Actually I have primarily the eastern half of the state for field crops and the whole state for structural pests. Right now we’re in a corn field, or near a corn field in Saline County. …Click link for more. 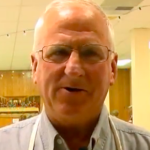 Ken McCauley Our Town, Our Food Well, it was really interesting, the group we had together, I really wanted to make a point that you talk about the local food movement, and we were talking about food and safety and I really wanted to relate my farm to the people out there and so, one of the big pet peeves I have is just because I …Click link for more. Pickling Pickles During the summer time pickles are a great way to preserve cucumbers. And lots of people grow a lot of cucumbers, so knowing how to pickle ’em right is the best way to go, so you can save ’em for later use. So, the first thing you want to do is start off with good recipes. We have a publication called Preserving Cucumbers, great recipes, will give …Click link for more. Dr. Vincent Amanor-Boadu The Trade Promotional Authority gives the President the authority to negotiate international trade treaties and bring it back to Congress to vote up or down on it. And the reason is that, it’s extremely difficult for the U.S. government to negotiate with international partners in a way that allows Congress to make the decision as the end negotiator…Click link for more. Dana Ladner, Governor’s Internship Program Dana Ladner, with the Kansas Department of Agriculture and I am the Compliance Education Coordinator for our agency. I’m also responsible for the Governor’s Internship Program on behalf of our agency. Today we are hosting a group of college students who have been selected to be participants in the Kansas Governor’s Internship Program…Click link for more. 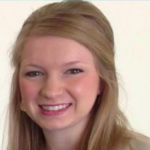 Soybean Update BreAnn Jaeger BreAnn Jaeger, from Minneola, who is a junior at Kansas State University studying Family Studies was also serving as one of the interns at the Kansas Soybean Association this summer. And BreAnn, I know they keep you very busy over at the Association with a lot of activities. And what got you interested in this internship? …Click link for more. 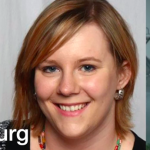 Soybean Update Cindy Norris Cindy Norris who is a 6th grade teacher from Manhattan, Kansas, is joining us. 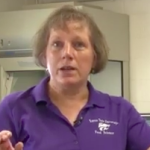 And Cindy, you just completed the Summer Soybean Science Institute at Kansas State University and I’m sure that was quite the time that you had there in Manhattan….Click link for more. Soybean Update Ignacio Ciampitti Well, one way Greg, is trying to sum up information, summarize information and make sure that the growers have access to information in a way they see and in a way that we can just demonstrate the connection between growing stages and what are the main management tips. 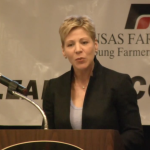 So what we decided to focus on and pursue with the United Soybean Board….click link for more. Soybean Update This is the Kansas Soybean Update. It’s brought to you by the Kansas Soybean Commission. The Soybean Checkoff, Progress Powered by Kansas Farmers. Dylan Genis, a Johnson County Community College graduate is joining us and Dylan earlier this year, you attended the 2015 Biotech University Seminar in Phoenix, Arizona. 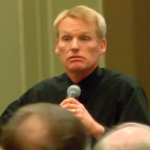 What was the seminar all about?…click link for more. 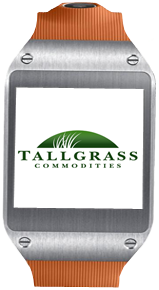 Tallgrass Dwight Faulkner with Tallgrass Commodities. During the last year we’ve seen a great run-up in the cattle prices, starting the end of fall last year and going through this winter market. 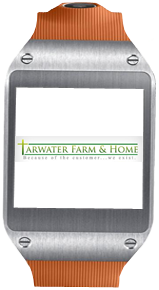 We deal in all kinds of feed byproducts throughout the midwest and west coast areas. Mark Spraying I am Mark Pettijohn, here again at Saline County on the farm. The Custom Crew you’ve probably seen, Brian and Lee Rimmer from Kent and Galva, they’re doing their thing. 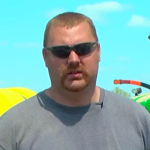 You’ve probably also met Justin Conrad, he’s planting double crop milo as we speak. My forte, my big niche on the farm, is to not only price and gather and have the chemicals shipped in cost effectively and timely when I need them, but I run the sprayer exclusively. Ignacio Soybeans we are still now here at the Agronomy Farm. Just right now we are sitting next to a soybean demo plot. So here we have very different maturity groups. Everything planted around the second week of May, except for this one, so they look very small. Conditions around the state are very similar reflecting what we are seeing around here, so we have soybeans, for the last week of June are getting close to almost full planting. Ignacio Corn This morning we are on the Agronomy Farm here at Manhattan, the Kansas State Main Campus. And we are just looking to our corn. Here just behind me I have corn that we have for demonstration purposes. 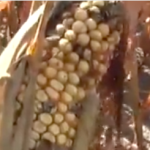 And looking at the corn conditions around the state, we are seeing very different situations. Soybean Update Ignacio Ciampitti, K-State Crop Production and Cropping Systems Specialist joins us. 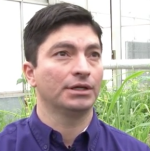 Ignacio, a soybean producer’s knowledge of soybean growth can give them an advantage in the development of the crop. 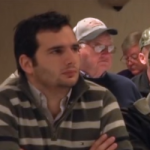 So how are you and the United Soybean Board helping in increasing the producers knowledge? Poovey On May 4th it started raining and between May 4th and the current time, we’ve had 20 plus inches of rain. We’ve been struggling pretty hard to get corn sprayed and get our soybeans planted. The water has really kind of hurt some of the corn down in the bottoms. It’s lost some of its nutrients and water hasn’t gotten away from it. The hill ground, terraced ground looks a lot better, where the water actually ran away. 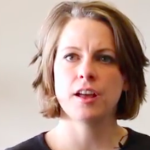 Elizabeth Yeager So, as we’re thinking about the times that we’re facing right now, with like you said the wet spring, looking into a possibly wet summer, obviously thinking about how you’re going to manage your income is incredibly important. So, managing your income, managing your cash flow is incredibly important. 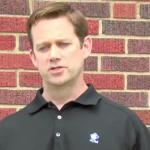 Aaron Harris May 2015 is on record for being one of the wettest months in the state of Kansas, along with Oklahoma and Texas. The historic rainfall washed away an economically draining drought that plagued parts of the state for years. 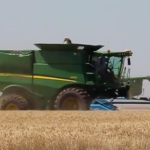 Recently Farm Factor spoke with Aaron Harris, Vice President of Research Operations at Kansas Wheat, about the outlook for this year’s harvest. 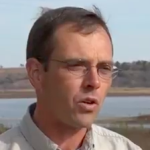 Dr Kevin Donnelly I’m Dr. Kevin Donnelly, a Professor of Agronomy, Kansas State University. Today we’re here working with our Kansas Foundation for Ag in the Classrooms summer workshop for teachers. And so, we’re pleased to be able to participate in that. We do a number of activities here involving plants and soils. This is also the International Year of Soils, so we’ve put a special emphasis on soils this year as well. 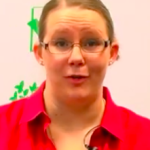 Audra McCurdy My name’s Audra McCurdy and I’m here at the Kansas Foundation for Ag in the Classroom Summer Institute. I was a student here last year and I’m excited to be back here this year to learn new lesson plans that I can use to teach my Ag Enrichment Class at Williamsburg Elementary this coming year. 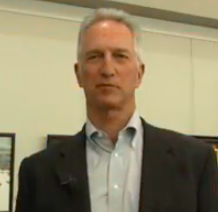 Dan Dawes Dan Dawes, Business Unit Leader for the Midwest for DuPont Crop Protection is joining us. 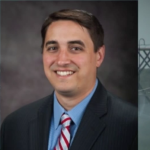 And Dan, right now for soybean producers it is the time if you are interested to apply for the American Soybean Association DuPont Young Leader Program. Terry Griffin If that data were sufficient enough for somebody’s everyday operation, so it be considered that Big Data, how do we look at it now, knowing that Big Data has started to become a more important issue? 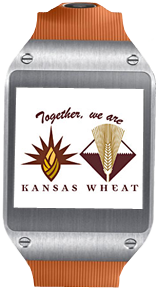 White wheat Well, first of all we have a very important and growing business that’s based on using Kansas White Wheat. Also when we looked at this as an investment opportunity, we really saw the ability to benefit all the key stakeholders in the wheat value chain in Kansas. And so starting with Kansas State, the breeder level, establishing some of those strategic relationships to further their development of White Wheat and producing the high quality varieties. Ryan Stewart It started out as I just got to ride around and be in the combine when they harvest and riding the drill when we plant them. But it’s gotten to be now I get to run some of the bigger equipment and run some of the operation. Now that my Grandpa is getting to be of the age where he can’t do that anymore, so I had to step up and do the big jobs. Charlie Arnot The Center for Food Integrity is a not-for-profit organization, with a, primarily focused in the U.S. with affiliates in Canada and Australia as well. And our mission is to build trust in today’s food system. And we work with a number of different stakeholders, over 150 different members and project partners, ranging from farmers and farm organizations, to food processors, retailers, restaurants and their various associations. Mark Pettijohn we’re trying to begin and finish a soybean field today. And obviously, if you can see the rain we’re not gonna make it. We’re probably half done with this 80. We’ve had probably eight or nine inches of rain this month. And this soil is very forgiving. And I can hear thunder right now and it’s probably going to get another inch tonight they say. So, it’s probably the only beans in the area in the ground. 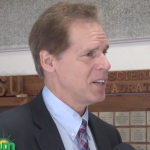 Cuba Trade I’m Doug Keesling and I was honored to go on a U.S. Coalition for Cuba trip to Havana, Cuba, here several weeks ago and got to see first hand the agriculture in Cuba and the trade differences that it would make if we could end the embargo which is our goal, is to end the embargo and be able to put free trade into Cuba. Particularly the main goals that we found while we were down there, it was kind of a learning quest. Delegation This group of Chinese feed… representing Chinese feed buyers were here in Kansas for the Distillers Technology Conference, an annual conference that brings together the distiller’s grains producers and some of the buyers from around the world every year. After the conference in Kansas City they asked to tour several locations and meet some of our growers and producers. Wheat App Kind of excited to be closing out the Wheat Tour 2015 this year. We had a lot of participants. One of the neat things about the tour this year, was we used the Kansas Wheat Yield Calculator app. It’s kind of a new app. We beta tested it a little bit last year. It’s still kind of in the beta testing phase again this year. It’s out there for a lot of farmers. It’s for Android and for iPhones. It’s a free download. 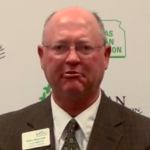 Joe Newland I’m Joe Newland with Kansas Farm Bureau. I am the District Director for the Third District here in Southeast Kansas. And today we’ve had the privilege of hosting our Third District picnic. 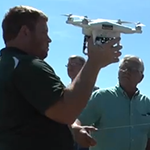 It’s been a lot of fun today to be able to co-op with AgEagle a UAV company here in Neodesha. 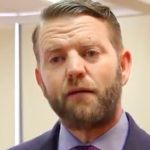 We’ve gotten to know Brett Chilcott fairly well and it’s been a lot fun. 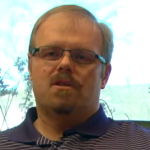 Actually you know to learn exactly what he does as a new startup company the last two years. 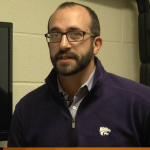 Eric Atkinson and Brian McCornack KSU In recent weeks we’ve talked about Kansas State University’s increasing role in agricultural research, featuring what are called Unmanned Aerial Systems or UAS. On the strength of a multi-million dollar partnership between Kansas State University and what’s called the Plant Bio Security Cooperative Research Center out of Australia. 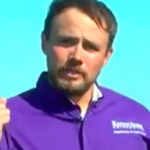 Now the contact if you will, and the lead here at Kansas State University in this project, is with us now, K-State Research Entomologist Brian McCornack. 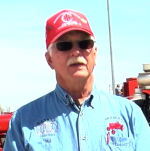 International Harvester Collectors We’re with International Harvester Club, Chapter Three of Kansas. We was 22 years old back in 1992. We have two members that started this show and they’re still members. I’m Vice President of this year, elected for this organization. We have 233 members throughout Kansas, Colorado, Missouri and Oklahoma that have joined our club and we’ve all got things in common, most of it’s International tractors…click link to see full story. Great Bend Farm & Ranch Expo I just want to thank all of our producers for coming to the Great Bend Farm and Ranch Expo. We had a tremendous crowd. Three days were action packed. And we can’t put on these kind of events without the support of all of the vendors that come out and all of the volunteers that come and help. And on behalf of my daughter, Tea myself Darren Dale…click link to see full story. Farm Food Tour – “Science Behind the Food” We us on the Kansas Farm Bureau Food Tour at K-State where Kansas City area bloggers learned about the science of the farm. 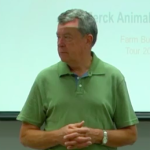 Their tour included a frank discussion about GMO’s; a visit to K-State’s Food Science Lab and then Dr. Dan Thomson explained the importance of correct antibiotic use in food animals. See what these bloggers liked best about their tour. Bob Langert – Defines Sustainability At Cattleman’s Day on the campus of Kansas State University, Bob Langert was invited to address the group on how he defines sustainability and how former employer, McDonalds is staying on top of sustainability. Michael Jordan – Commodity Breakfast Each legislative session the grain commodity groups of Kansas get together to host a breakfast to educate the current leaders on changes in the grain industry…this year Kansas Association of Wheat Growers were the presenting sponsor. Don Hineman & Tom Moxley Each legislative session the grain commodity groups of Kansas get together to host a breakfast to educate the current leaders on changes in the grain industry, see what Don Hineman and Tom Moxley have to say from a Legislative side. 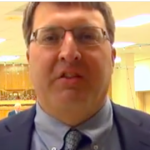 Commodity Classic Clayton Short Clayton Short, the Chairman of the Grain Sorghum Commission from Saline County briefly tells us the good things that are going on for grain sorghum producers or agriculture in general in Kansas? 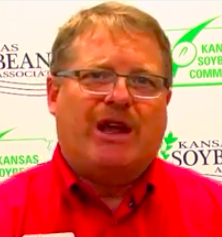 Commodity Classic Gary Robbins Gary Robbins from the Kansas Soybean Association talks about the positive things going on in the Soybean industry in Kansas and beyond at the recent Commodity Classics in Manhattan. Commodity Classics – Ken McCauley Ken McCauley, a Donovan and Brown County farmer and he is on the Corn Grower’s Association and the Corn Commission and we’re here at the Commodity Classic here in Manhattan and I really wanted to kind of get your thought on what’s positive for corn growers right now? Commodity Classics David Schemm David Schemm with the National Association of Wheat Growers, he’s Secretary Treasurer and he’s also a Wallace County Farmer. 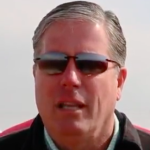 So he tells us what some of the positives going on for wheat growers in the state of Kansas and nationally. Robert Fraley Monsanto Dr. Robert Fraley with Monsanto tells us about biotech crops and how they help to ensure food security here and around the world. Darrell Holaday Jim Shroyer is at the Commodity Classic in Manhattan catching up with Darrel Holiday and Senator Pat Roberts for updates on commodities and to see what’s happening in the Ag Committee. Commodity Classics Sen Roberts Jim Shroyer is at the Commodity Classic in Manhattan catching up with Darrel Holiday and Senator Pat Roberts for updates on commodities and to see what’s happening in the Ag Committee. 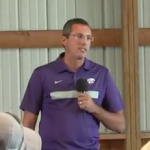 Kendall Hodgson – Kansas Grain Sorghum Commission At the recent KSU Sorghum School Kendall Hodgson talks about how he takes information for conferences back to his farm and what he does for Kansas producers beyond state lines. 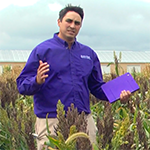 Jeff Whitworth – Kansas Sorghum Bugs At the recent K-State Sorghum School Jeff Whitworth discusses pests to look out for in sorghum fields this growing season. 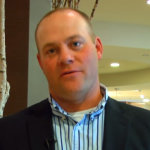 Ryan Speer – No-Till Conference Ryan Speer from No-Till on the Plains talks about the recent conference in Salina and a little about what the organization does year round. 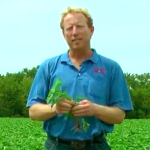 Randy Small – Relay Cropping Randy Small was on the presenters at the No-Till on the Plains conference talking about relay cropping…take a look. 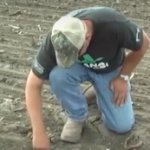 Keith Thompson – No-Till Farming Keith Thompson talks about how he incorporates no-till practices on his farm and also how he helps with the no-till mission through organizational involvement as well. 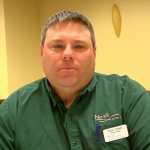 Shawn Tiffany – Cover Crops and Cattle Shawn Tiffany talks about how he incorporates cover crops into his custom feeding operation. 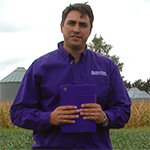 Brian McCornack – My Fields At the recent Kansas Soybean School, Brian McCornack presented K-State’s new My Fields app. Learn a little about the function and the future plans for the app. 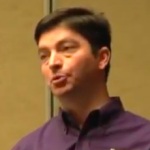 Dorivar Ruiz Diaz – Soybean Nutrient Management Recently at the Kansas Soybean School, Dr. Dorivar Ruiz Diaz talked about Soybean nutrient management. Stu Duncan – Soybean Management Practices At the recent Kansas Soybean School Stu Duncan discussed management practices for producers to think about this year to enhance their soybean crop. 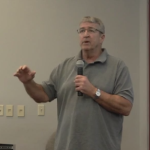 Jeff Whitworth – Soybean Pests Recently at the Kansas Soybean School, Jeff Whitworth discussed soybean pest management and what producers need to be aware of from the bugs in the fields. 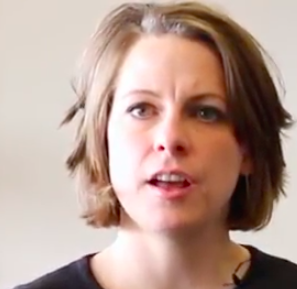 Kate Hall – GMO discussion At the recent Kansas Farm Bureau Young Farmers & Ranchers conference, Kate Hall lead the discussion on GMOs. Ken McCauley Corn School At a recent Corn School hosted by Kansas Corn Commission and K-State Research and Extension, Ken McCauley talks about the importance in the continued education component for farmers. 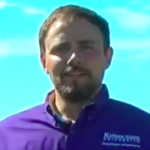 Mat Habrock Pioneer At the recent Kansas Corn School, Mat Habrock talks about why continued education for Farmers is key to their success and why Pioneer feels it is important to sponsor those types of events. 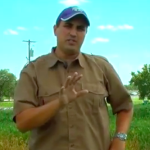 Iganacio Ciampitti – Corn Production School At the recent Kansas Corn School – Ignacio Ciampitti talks about best farming practices for Corn Production in the state of Kansas. Dave Mengel Corn School At a recent Kansas Corn School. 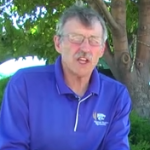 Dr. Dave Mengel talks about the importance of soil nutrition in order to yield a good Kansas corn crop. 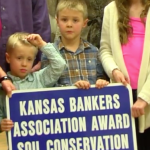 Osage County Conservation Awards At the recent Osage County Conservation meeting awards were given: Ryan and Mandy Kline were award the Young Farmer award and Silver Farms was awarded the Kansas Banker’s Soil Conservation Award. David Thompson – 20 Years of Conservation Service At the recent Osage County Conservation meeting, David Thompson was given a 20 years of service award. 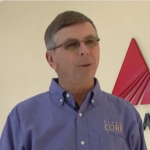 Dan O’Brien Corn School At the recent Kansas Corn Schools Daniel O’Brien talks about the corn markets and what to expect in 2015. 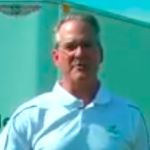 NBB Scott Fenwick At the recent Kansas Soybean Expo – Scott Fenwick from the National Bio-Diesel Board talks about the importance of the biodiesel mission. Author Michele Payn Knoper Author Michele Payn Knoper talks about her book “No More Food Fights” at the recent Kansas Soybean Expo. 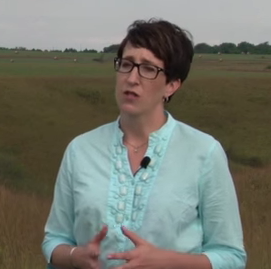 She encourages Farmers to tell their story, so someone else won’t. 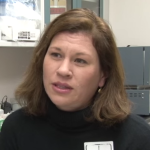 Jennifer Geck Ott – USAPEEC Today we take a look into Kansas wheat at their Holiday Open House and see what innovations are happening for producers around the state. Dr. Dallas Peterson – Weed Control in Soybeans Dr. Dallas Peterson talks about weed control in soybeans at the recent Kansas Soybean Expo. 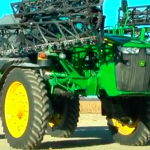 Future of weed control technologies and more. 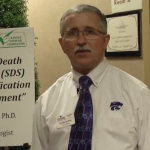 Dr. Doug Jardine – Sudden Death Dr. Doug Jardine discusses Sudden Death Syndrome (SDS) in soybeans at the recent Kansas Soybean Expo. 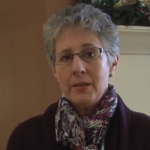 Hear about Identification and Management strategies. 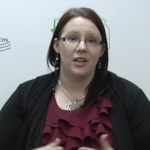 Teresa Brandenburg – Kansas Soybean Expo Teresa Brandenburg with Kansas Soybean Association talks about what all happened at the 2015 Kansas Soybean Expo. 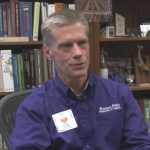 Dr Gary Pierzynski “I Love Soil” Dr. Gary Pierzynski brings us part two of the stories from KSU celebrating the International Year of Soils. 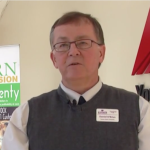 Terry Venduska – Kansas Corn School AG am in Kansas attended the Corn Schools, see what Terry Vinduska from the Kansas Corn Commission has to say about the program. Curtis Thompson Kansas Corn School Dr. Curtis Thompson talked about weed control programs in Corn and what to do to prepare for this year. 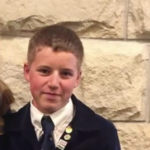 A summary of his program he presented at the 2015 Corn Schools. 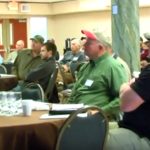 Kansas Soybean Expo – Winners Hear about winners of the 2014 Soybean Yield and Value Contest that were present at the 2015 Kansas Soybean Expo and meet Dupont Young Leaders And and LaVell Winsor from Grantville. 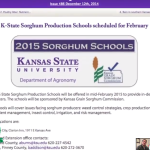 KSU Sorghum Schools Then learn about the upcoming Sorghum Schools in mid-February. 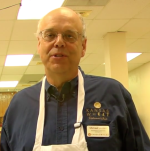 Aaron Harries – Kansas Wheat Today we take a look into Kansas wheat at their Holiday Open House and see what innovations are happening for producers around the state. David Schemm KAWG Kansas Wheat recently had a holiday open house at their Wheat Innovation Center in Manhattan, Kansas. Take a look. David Schemm is part of the National Association of Wheat Growers and was present at the open house. 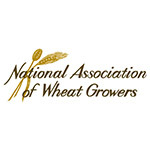 The National Association of Wheat Growers was founded more than 60 years ago by producers who wanted to work together for the common good of the industry. Scott Van Allen KWC The Kansas Wheat Commission is funded by a voluntary two cent assessment on each bushel of wheat produced in Kansas. 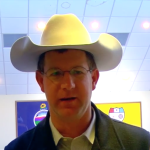 Scott Van Allen, chairman of the Kansas Wheat Commission is traveling to South America to maintain the market share in those counties. Bob Haselwood – New Chairman USB Meet the newly elected Chairman of the United Soybean Board, Bob Haselwood. KSU Soybean School Ignacio Cimipitti from KSU talks about the upcoming Soybean Schools, including agenda, dates and locations. 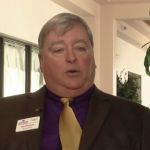 Farm Shows, Soybean Expo and Farm Bill Meetings We get a reminder of the many events going on in 1st Quarter 2015 and Mykel Taylor from KSU department of Agricultural Economics reminds us to get signed up for one of the Farm Bill Meetings coming up. 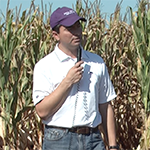 Ignacio – KSU Corn Schools Ignacio Ciampitti talks about the KSRE Corn School series happening in later this month in Hesston and Atchison. 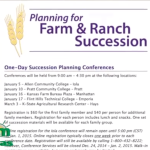 Farm & Ranch Succession Plan Meetings Forrest Buhler and Janel Koons talk about the Planning for Farm Succession series happening in later this month in several areas around the state. Dr. Chuck Rice – International Year of Soils Learn about World Soil Day from Kansas State University’s Dr. Chuck Rice. He explains the treasure trove of life-sustaining food and pharmaceuticals that lie just beneath our feet. 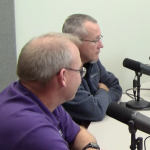 Biotech Wheat Genetics K-State’s Eric Atkinson interviews Harold Trick and John Fellers about a recent breakthrough in developing virus resistant wheat seed. Dan Dye – Ardent Mills Dan Dye from Ardent Mills talks about the need for the industry to welcome change and become more transparent to keep up with a curious society wanting to know where their food comes from. China Visits Inman High School Student reporters from Inman High School share a story about Chinese delegates that visited the area to look at sorghum fields. Brian McCornack – Sugarcane Aphids Brian McCornack with KSU Department of Entomology…how will the sugarcane aphid survive during the winter. Ignacio – Picking the right Apps With many of us using apps in everyday life, it only makes sense that farmers should use apps on their operation. Take a look. 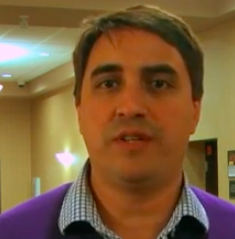 Recently AGam in Kansas caught up with Kansas State Agronomy at the Kansas Farm Bureau Annual Meeting in Manhattan to discuss new apps the department is looking at for farmers. 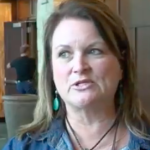 Mary Mertz – GMOs Mary Mertz discusses the importance in being transparent when discussing GMOs and how every farmer can help in the education process. 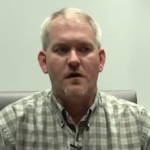 Curtis Thompson – Enlist First Curtis Thompson talks about the benefits of diversifying an herbicide program and what the Enlist Techology is and how it is a step in the right direction for herbicide program technology. 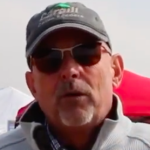 Doug Shoup – Soybean Yield Contest Doug Shoup talks about the upcoming Soybean Yield and Value contest including rules, deadlines and prizes. 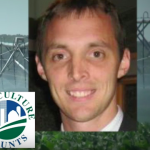 Mykel Taylor – Help with the Farm Bill Mykel Taylor from Kansas State University Departmetnt of Economics discusses ways that KSU is helping producers understand the Farm Bill programs, including online worksheets, upcoming workshops and more. Joel DeRouchey – Applying Manure Joel DeRouchey, a K-State Livestock Specialist, tells us about applying manure to fields. 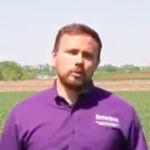 Ignacio Ciampitt – Soybean Update Dr. Ignacio Ciampitti, a cropping specialist, at K-State’s Agronomy Farm gives us an update on soybean and what to expect between now and harvest. 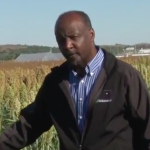 Ignacio Ciampitt – Sorghum Update Dr. Ignacio Ciampitti, a cropping specialist, at K-State’s Agronomy Farm where he gives us an update on sorghum and what to expect between now and harvest. 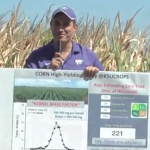 Ignacio Ciampitt – How low temps impact Crops Dr. Ignacio Ciampitti, a cropping specialist, at K-State’s Agronomy Farm where we learn about how the recent low temperatures can affect the quality, seed size and yield of corn, sorghum and soybeans. 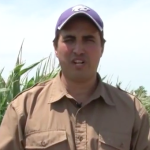 Ignacio Ciampitt – Corn Update Dr. Ignacio Ciampitti, a cropping specialist, at K-State’s Agronomy Farm where we learn about moldy ears and arrested ears in corn. Doug Shoup – Ottawa Field Day At Ottawa Field Day and hear from Eric Adee, Dorivar Diaz and Doug Shoup as they explain the different areas of crop research they are each involved in. 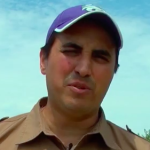 Dorivar Ruiz Diaz – Ottawa Field Day At Ottawa Field Day and hear from Eric Adee, Dorivar Diaz and Doug Shoup as they explain the different areas of crop research they are each involved in. 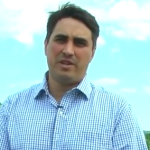 Eric Adee – Ottawa Field Day At Ottawa Field Day and hear from Eric Adee, Dorivar Diaz and Doug Shoup as they explain the different areas of crop research they are each involved in. 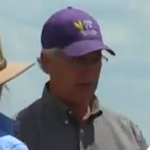 Allan Fritz – KanMark Eric Atkinson and Allan Fritz discuss the new KanMark wheat variety developed by K-state. 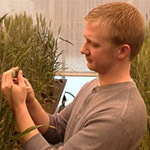 Jesse Poland – Wheat Genetics Eric Atkinson and Dr. Jesse Poland update us on the work being done regarding the genetic blueprint of wheat. 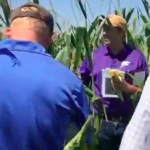 Ignacio Ciampitti – River Valley Field Day Conrad Kabus is at Kansas River Valley Experiment Field Day in Rossville where we learn about corn abnormalities. 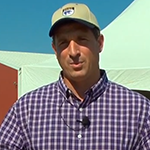 Bill Schapaugh – Soybean Sudden Death Conrad Kabus is at Kansas River Valley Experiment Field Day in Rossville where we learn about soybean Sudden Death Syndrome. Common Ground Farm Tour Join us on the CommonGround Farm Tour and learn about this organization of farm women who work to dispel myths about modern agriculture. 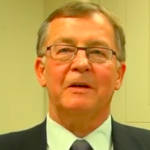 Bob Haselwood – USB Bob Haselwood, Vice Chairman of the United Soybean Board, updates us on the recent International Oilseed Producers Dialogue meeting in Paris, France. 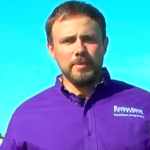 BTI Ag Solutions Conrad Kabus visits Kent Kirk, an integrated solutions manage with BTI Ag Solutions, discuss how ag drones help producers get an aerial view of their crops and livestock. Dr. Curtis Thompson – Weeds Dr. Curtis Thompson reports on weed problems across the state caused by recent rainfall. 2014 KSU Wheat Plot Tour – NW Kansas Jim Shroyer and Erick DeWolf in northwest Kansas as they continue their Wheat Plot Tour and show us the good-looking wheat they found there. Jim visits with Jeanne Falk Jones, a Sunflower District Agronomist, and learns how she develops wheat plot producers. 2014 KSU Wheat Plot Tour – Hays Kansas We join Jim Shroyer and Erick DeWolf at Wheat Field Day in Hays as they discuss the increased incidences of Wheat Streak Mosaic in central and eastern Kansas and show side by side comparisons of how it affects susceptible and resistant wheat varieties. Wheat Phenotyper Dr. Jesse Poland, a wheat geneticist from K-State’s Plant Pathology Department, introduces us to the High Throughput Phenotyper. 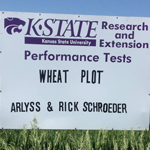 2014 KSU Wheat Plot Tour – South Central KS While on a recent statewide tour of K-State’s demonstration Fields, extension Specialists Jim Shroyer and Erick De Wolf update us on the status of Kansas wheat. 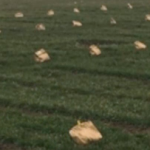 We’ll learn a lot, including how they found drought-stressed, heat-stressed and freeze-damaged wheat all in the same field. 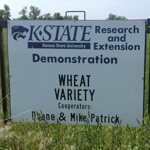 2014 KSU Wheat Plot Tour – North Central Kansas Jim Shroyer and Erick DeWolf are in North Central Kansas looking at the short, drought-stressed and freeze-damaged wheat fields there. 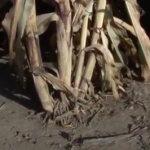 With some fields now developing leaf diseases due to recent rainfalls, their prediction for harvest there is lower yields and loss of test weight. 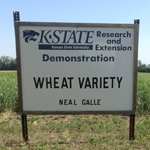 2014 KSU Wheat Plot Tour – Central Kansas Jim Shroyer and Erick DeWolf in McPherson County and learn about the hail, frost and drought damage on wheat in they past of the state. Jim Shroyer, Erick DeWolf and Dustin Deisher Dustin Deisher, a K-State graduate student, talks about his research to predict outbreaks of Wheat Streak Mosaic. 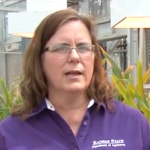 Jim Shroyer, Erick DeWolf and Bethany Garbow Jim Shroyer and Erick DeWolf, K-State Extension Specialists, introduce us to Bethany Grabow who shares information about her research predicting outbreaks of Stripe Rust. William McNair – US Soybean Export Council Will McNair with the US Soybean Export Council talks about increasing demand for soybeans worldwide. 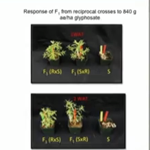 Mithila Jugulam – Soybean Checkoff Research K-State researcher Mithila Jugulam talks about her work with glyphosate resistance in Kochia. 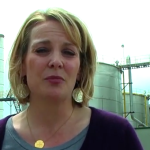 Jessica Robinson with National Biodiesel Board Meet Jessica Robinson, with the National Biodiesel Board, as she reports on the growth of biodiesel over the past twenty years. 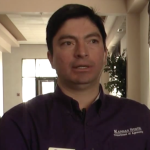 Dorivar Ruiz Diaz – Soybean Checkoff Project K-State’s Dorivar Ruis-Diaz updates us on his research in nutrient management. Brian McCornack – Soybean Checkoff Project K-State’s Brian McCornack reports on his work with Kansas teachers using soybeans to teach science in their classrooms. 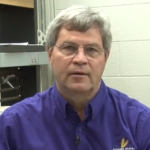 Soybean Checkoff – Biodiesel Project at KSU Ron Madl and Ben Champion discuss the research behind converting used cooking oil into biodiesel fuel. 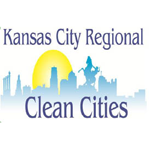 Clean Cities – Soybean Checkoff Project Aaron Brown and Warren Adams-Leavitt with the Metropolitan Energy Center tell us about the mission of the Clean Cities Coalition. 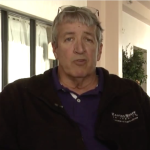 Bill Schapaugh – Soybean Checkoff Project K-State Professor Bill Schapaugh updates us on his soybean breeding research.